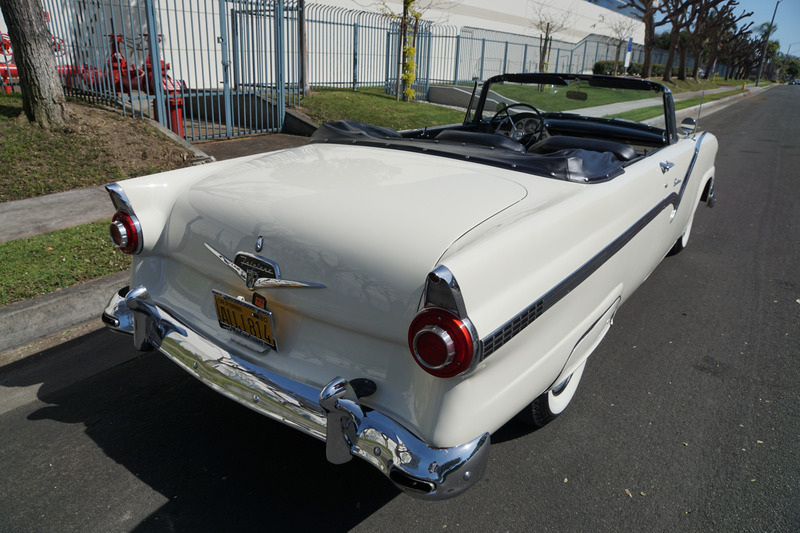 West Coast Classics are proud to present a beautifully restored and great daily driving example of this very rare and desirable original California (with rare original 1950's California license plates) 1956 Ford Fairlane Sunliner Convertible with a 292 V8 engine with dual exhausts and with factory specifications including Two Tone vinyl pleated upholstery, full length stainless steel trim, Ford-o-matic automatic transmission, Hydraulic Power soft top, Magic air heater and defroster, AM radio, Electric clock, full wheel covers, white sidewall tires and rear fender skirts! 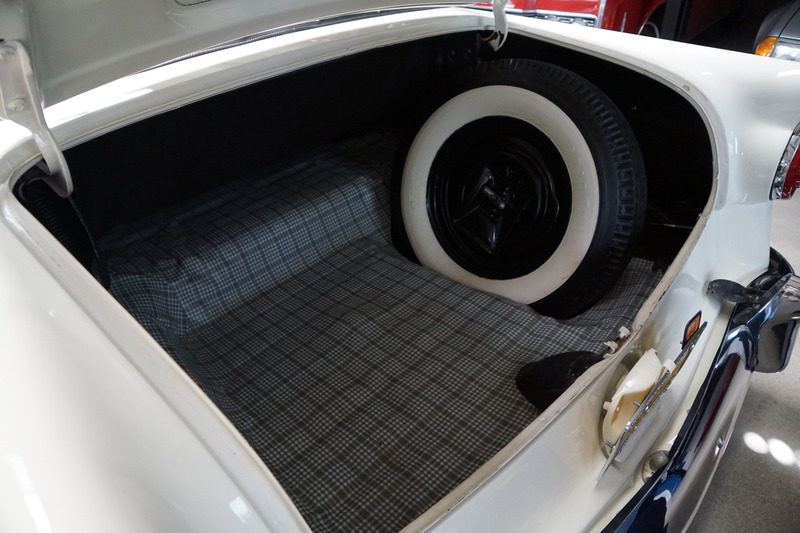 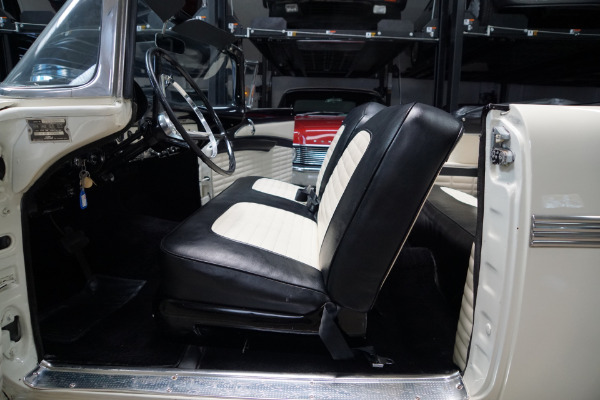 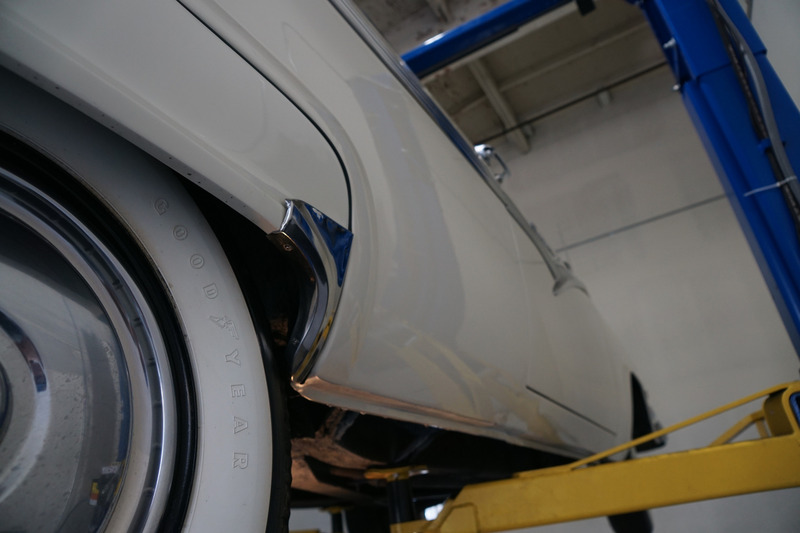 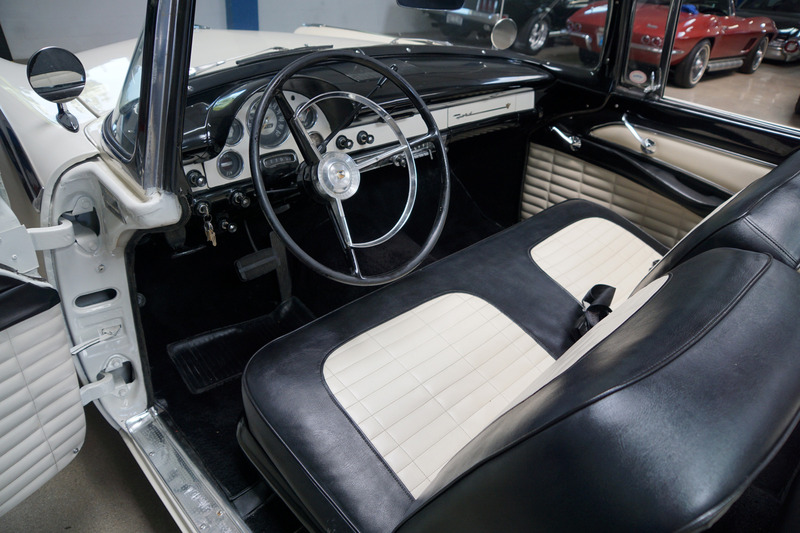 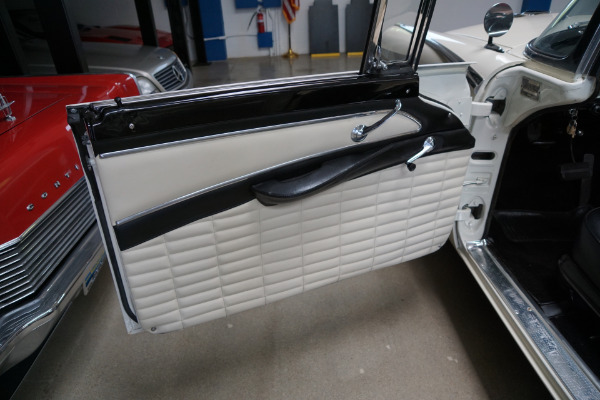 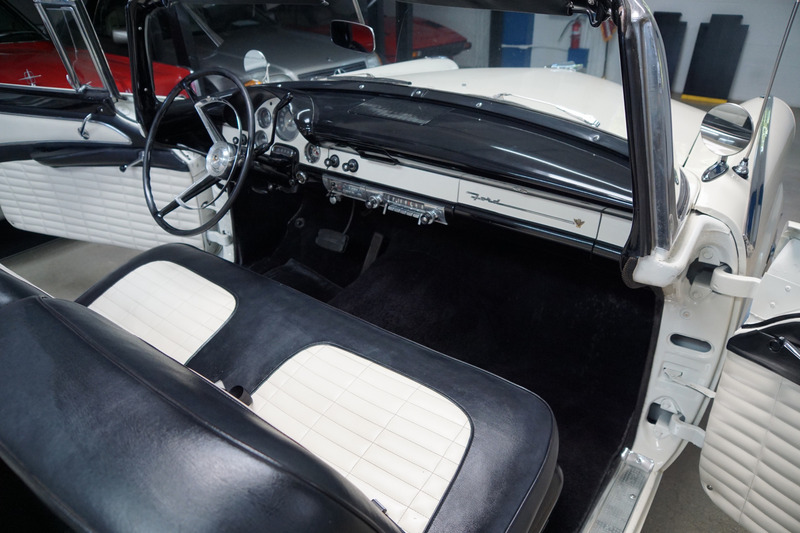 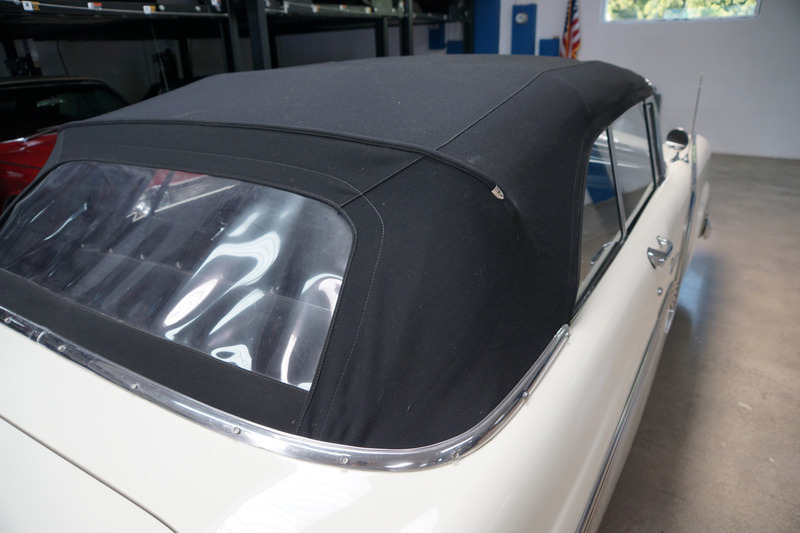 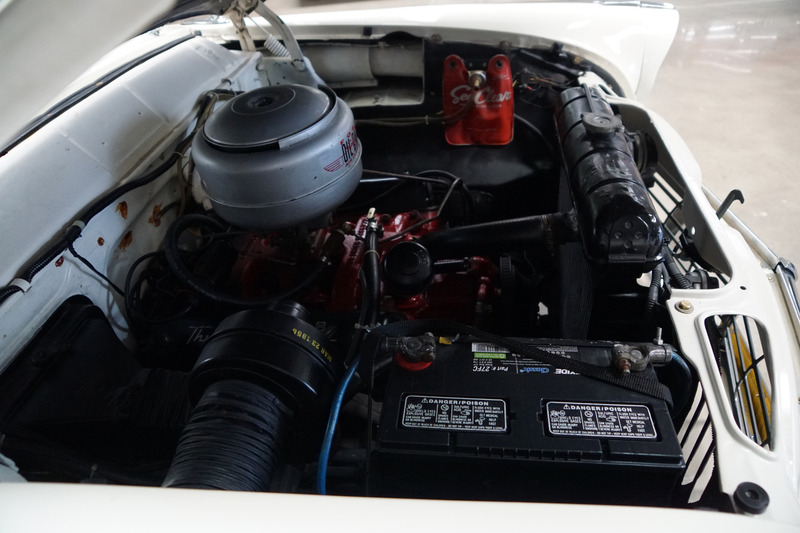 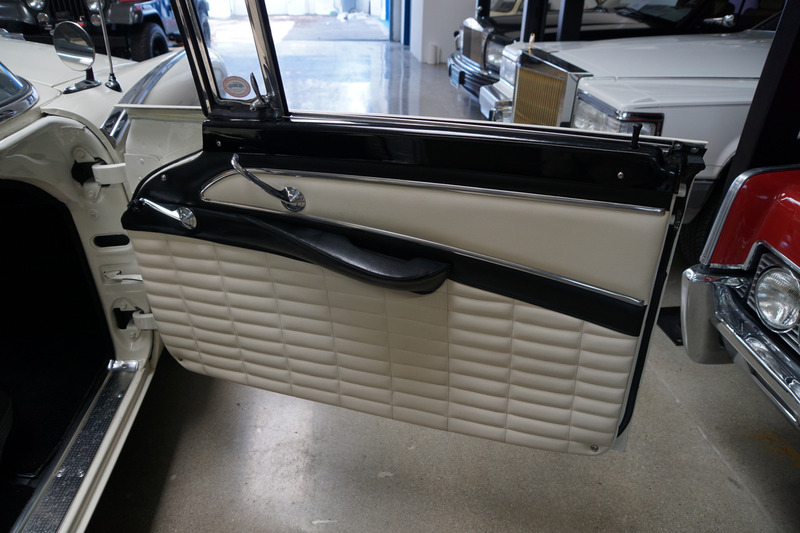 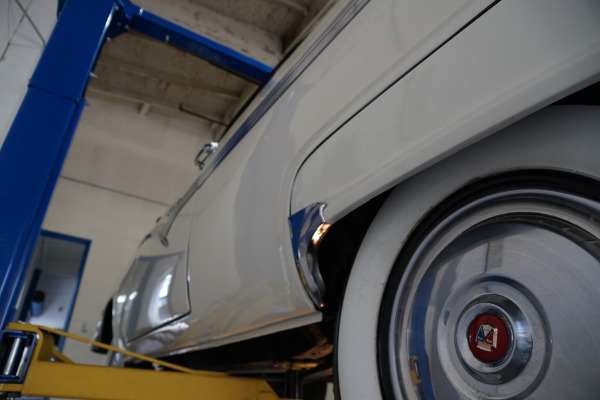 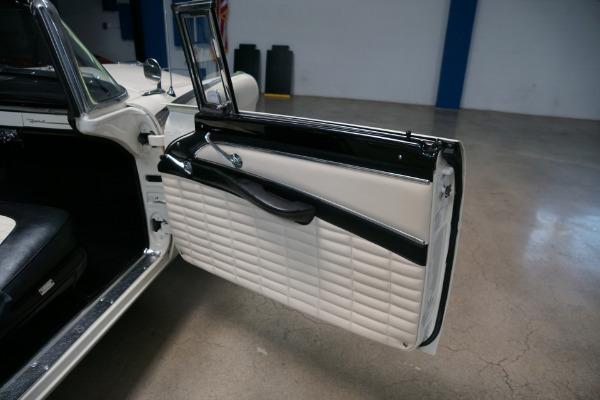 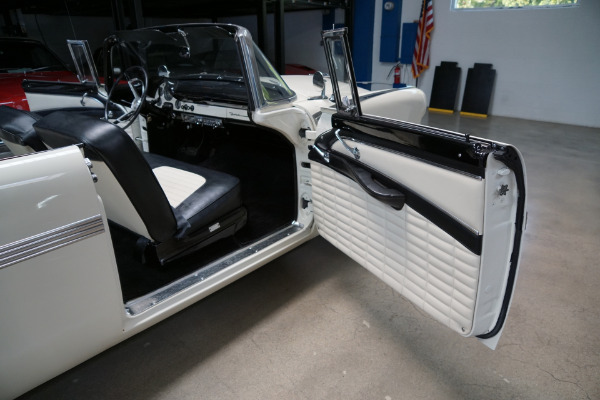 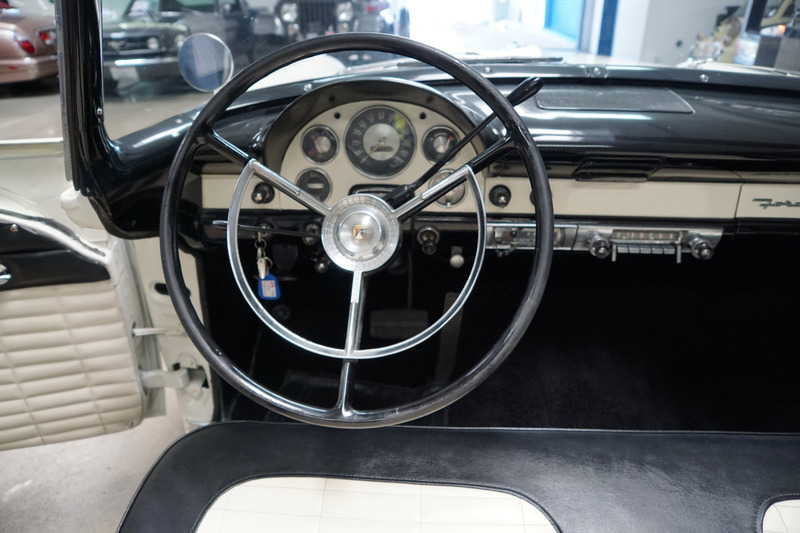 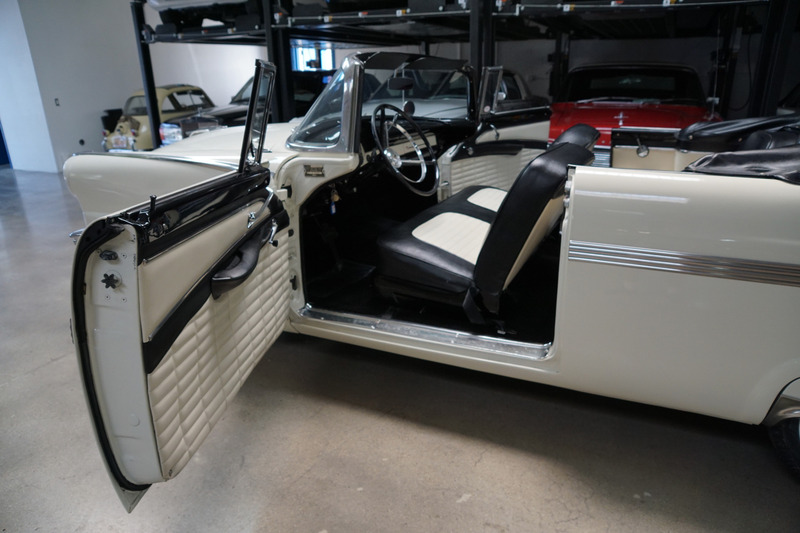 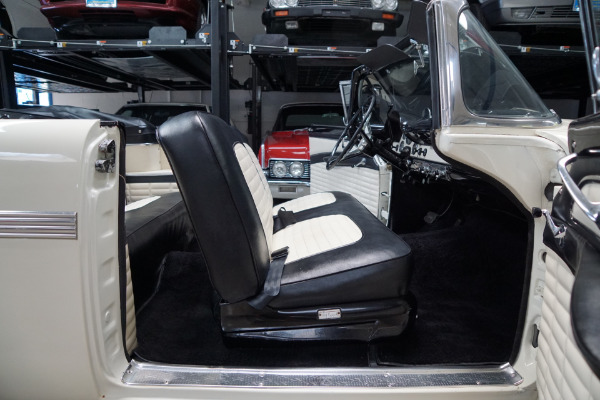 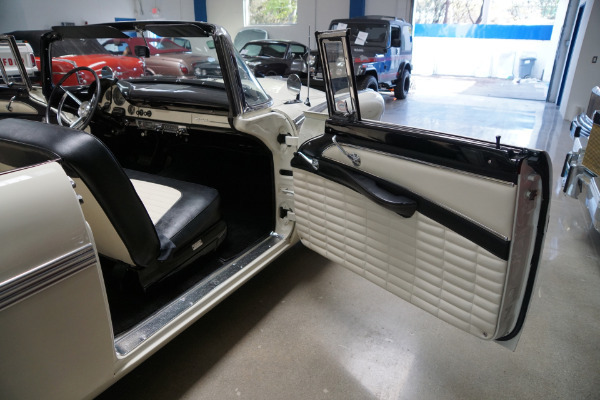 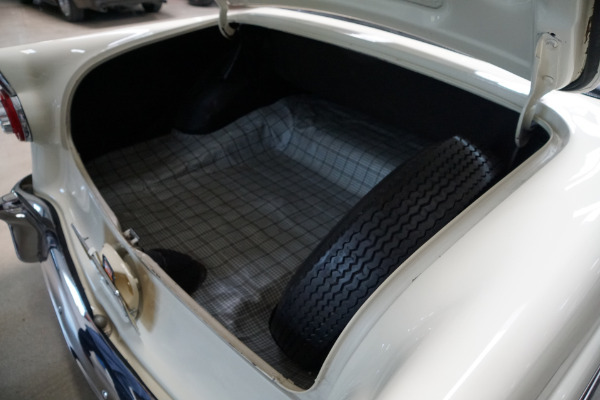 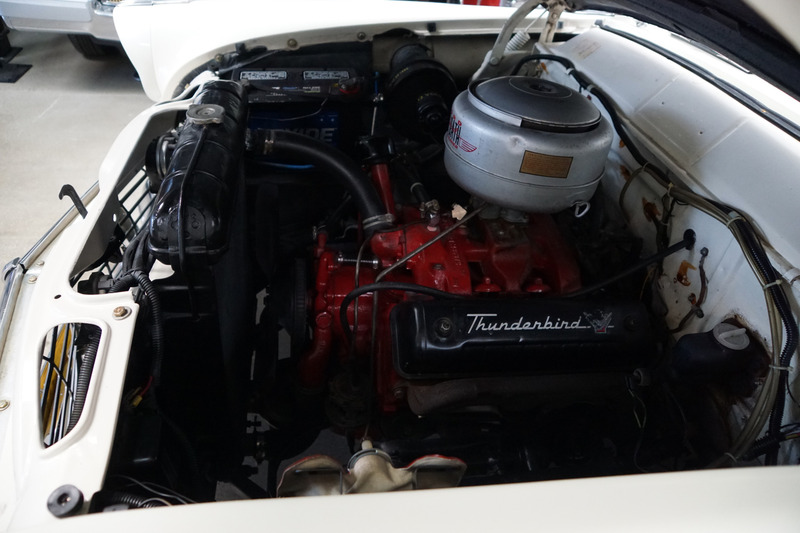 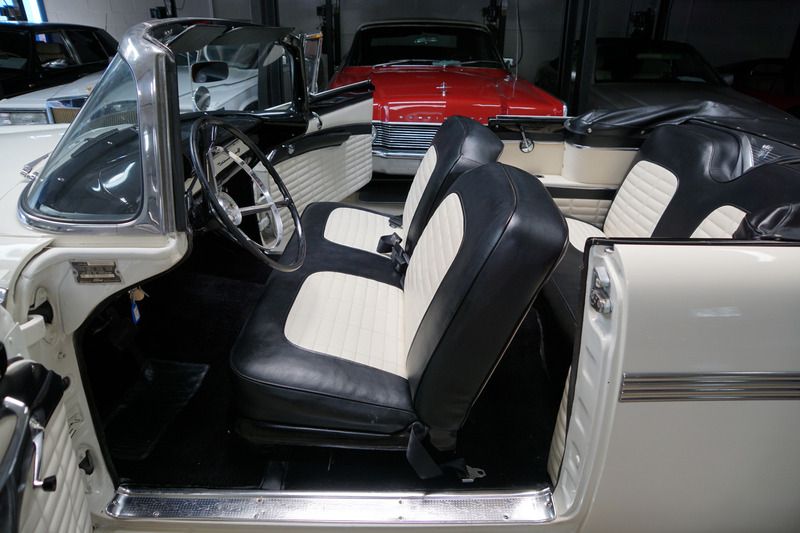 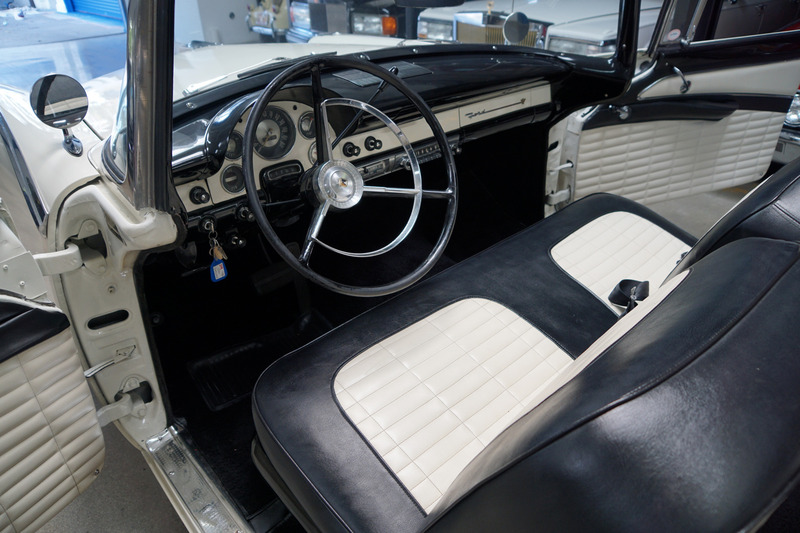 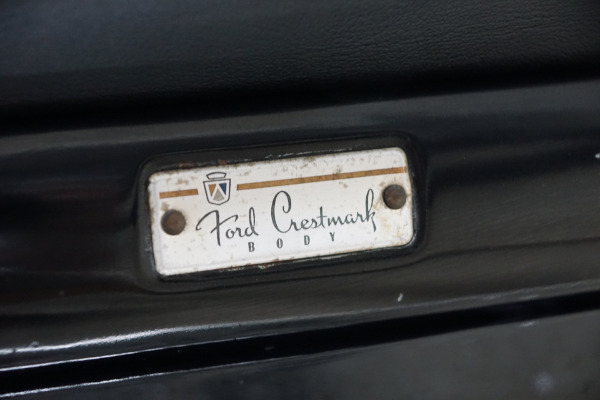 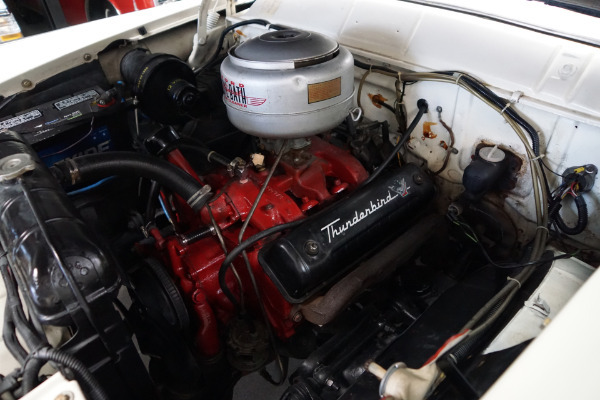 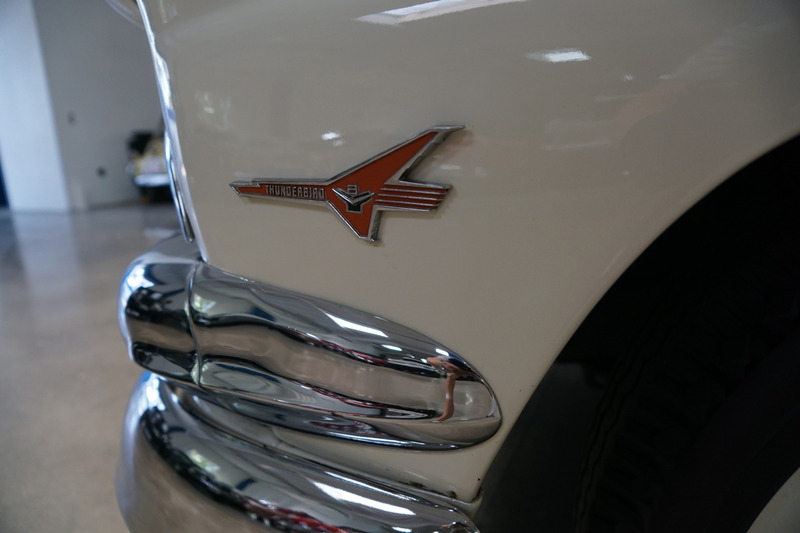 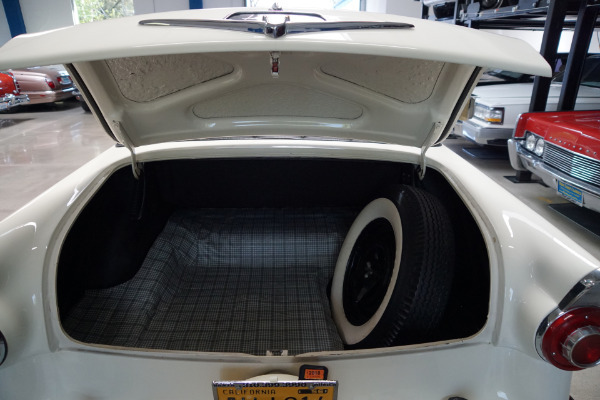 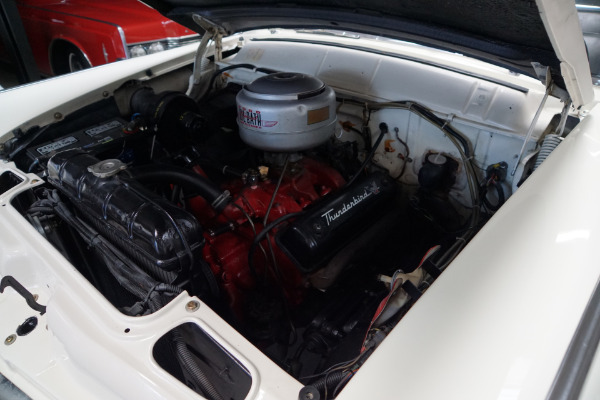 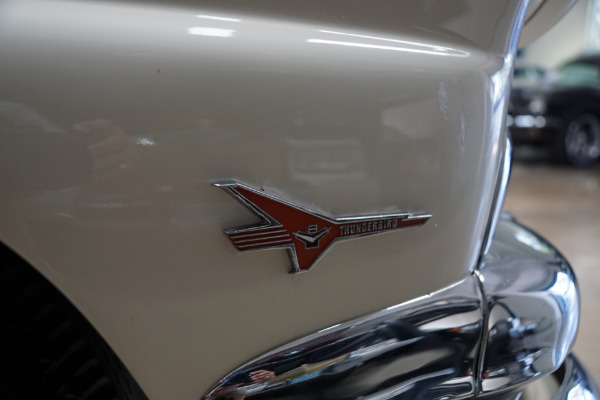 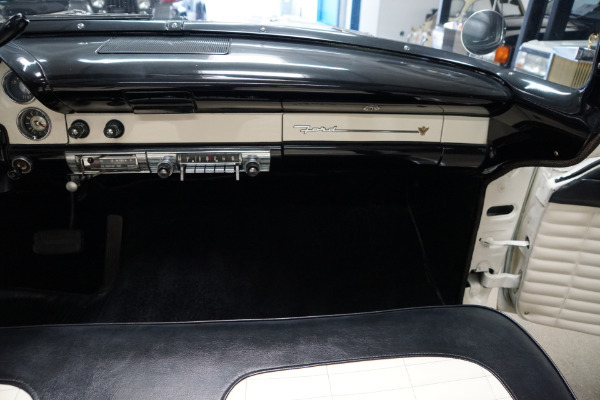 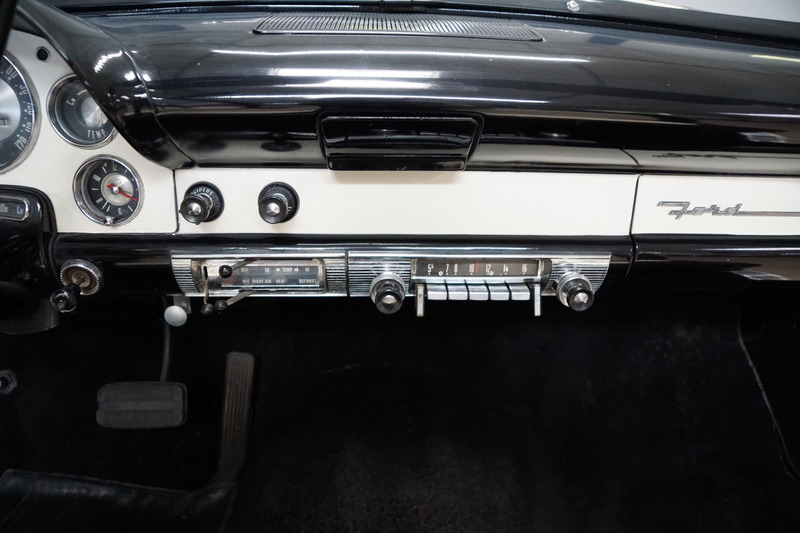 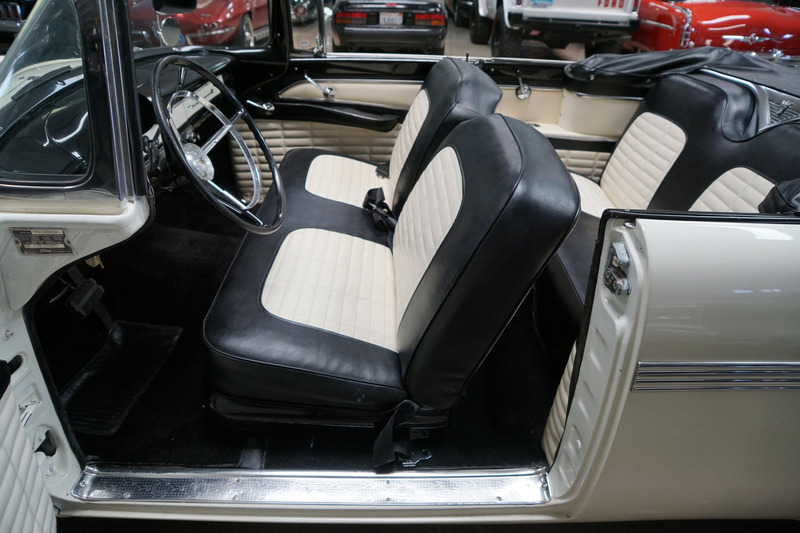 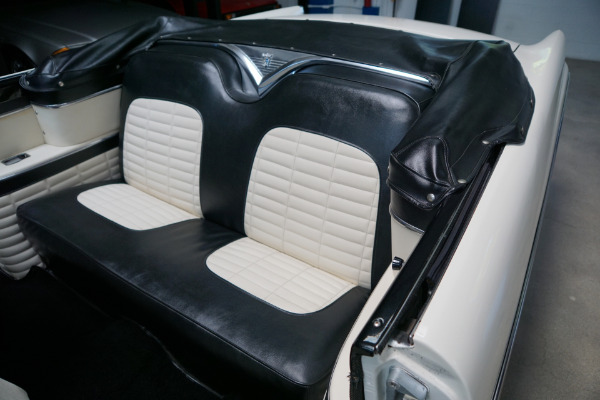 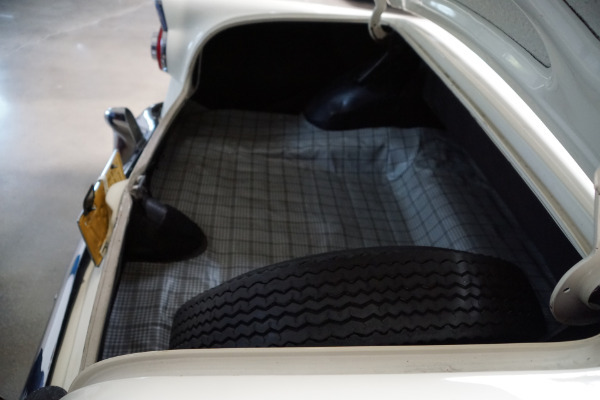 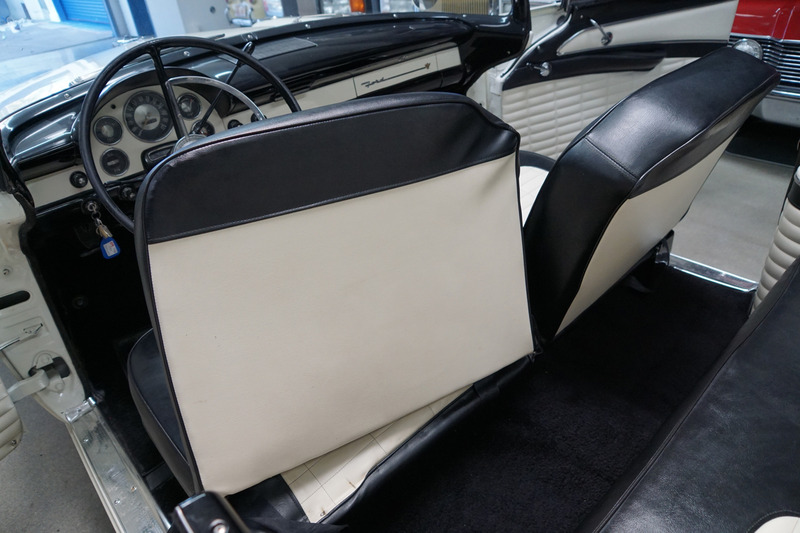 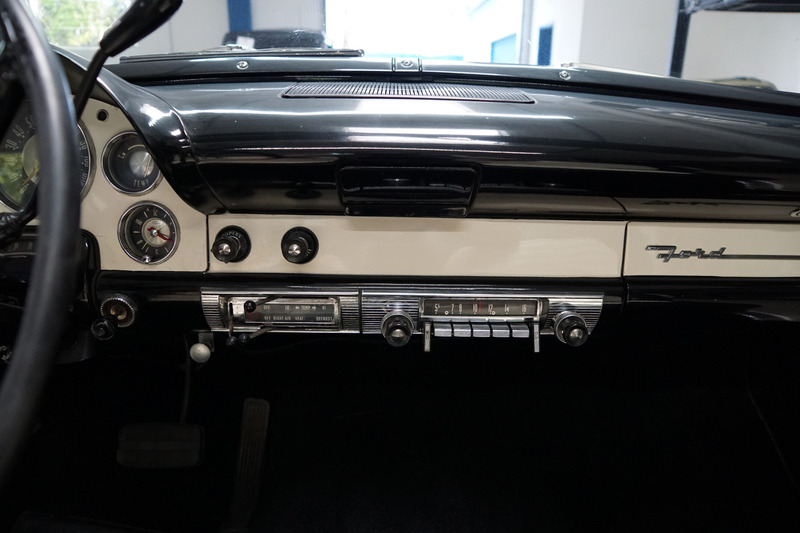 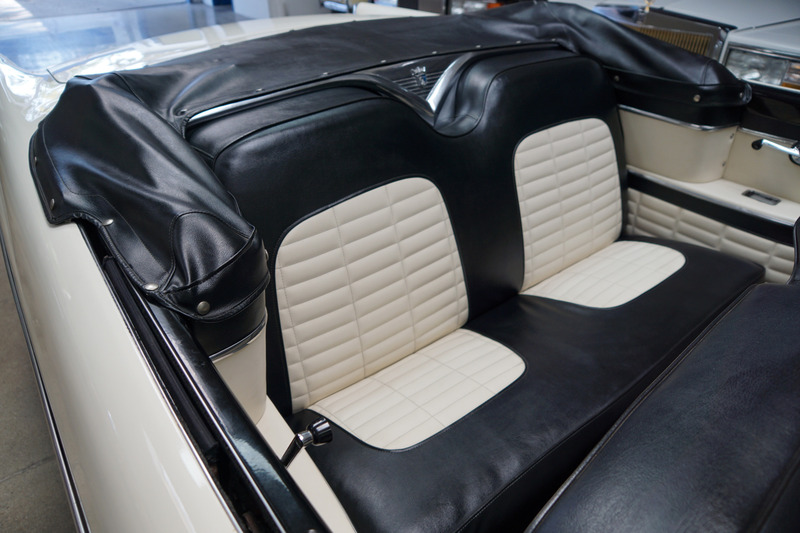 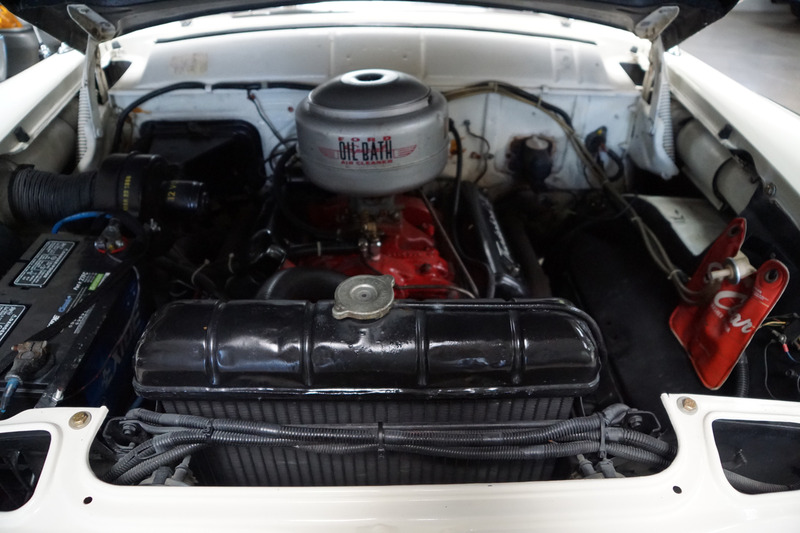 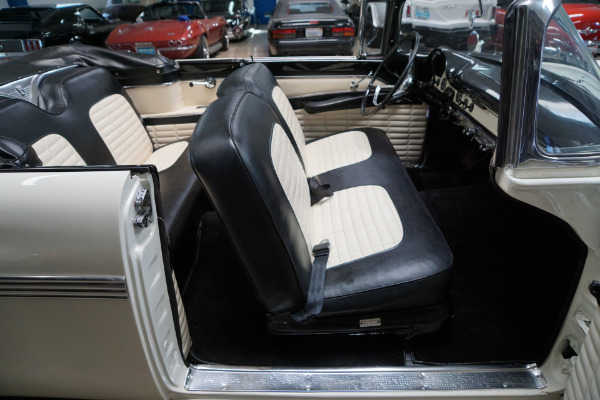 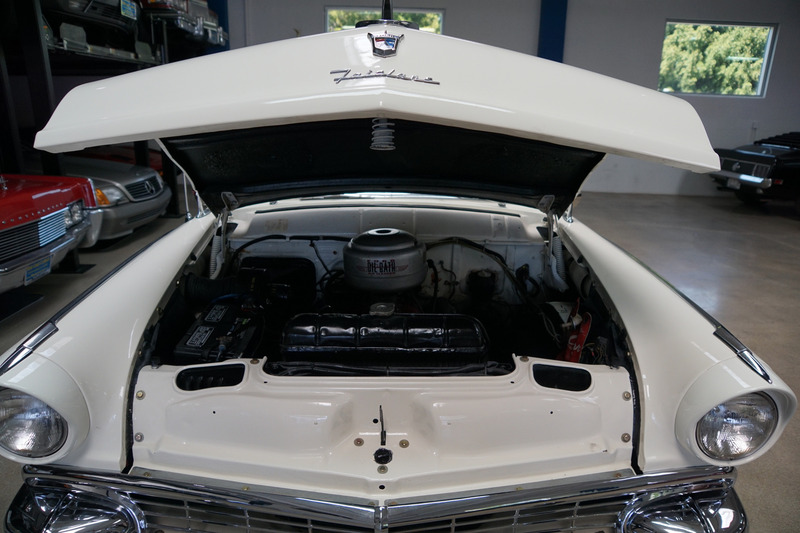 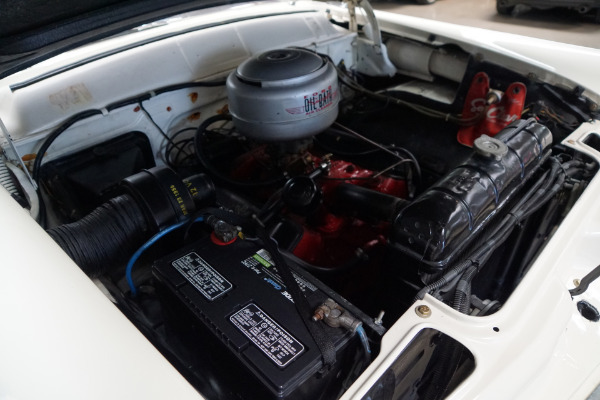 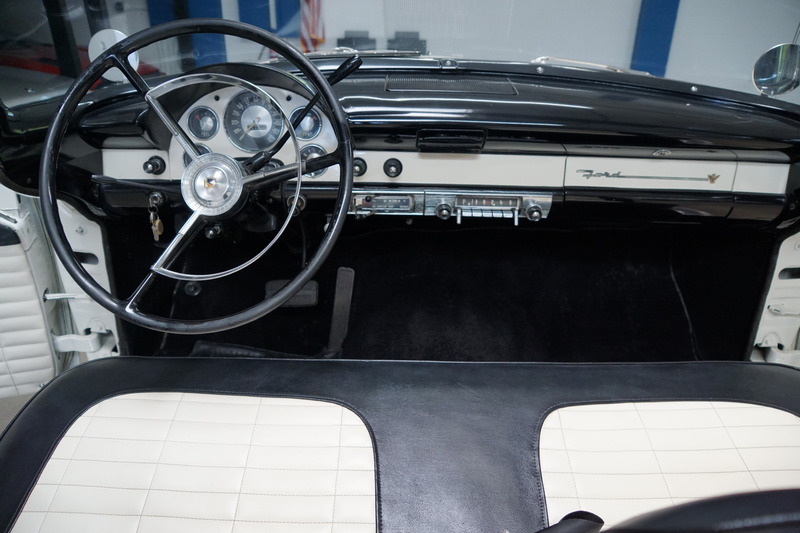 This particular example has been restored as required over the years with a beautiful repaint in a 'White' color paint with a matching Soft-Textured Vinyl Black & White' interior and this is a car which was has obviously always been garaged and well maintained and which is believed to have low original miles. 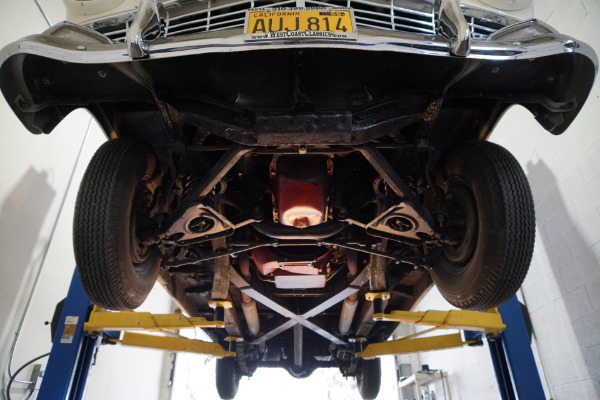 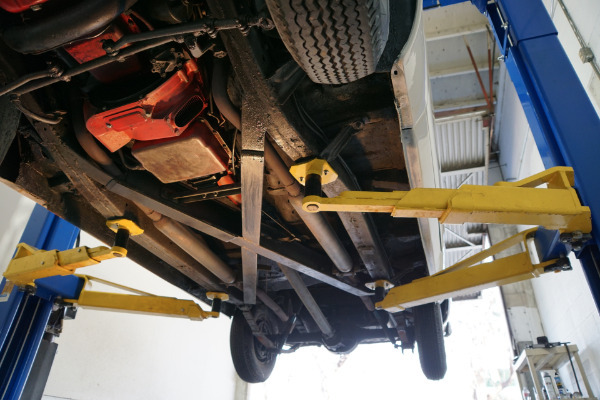 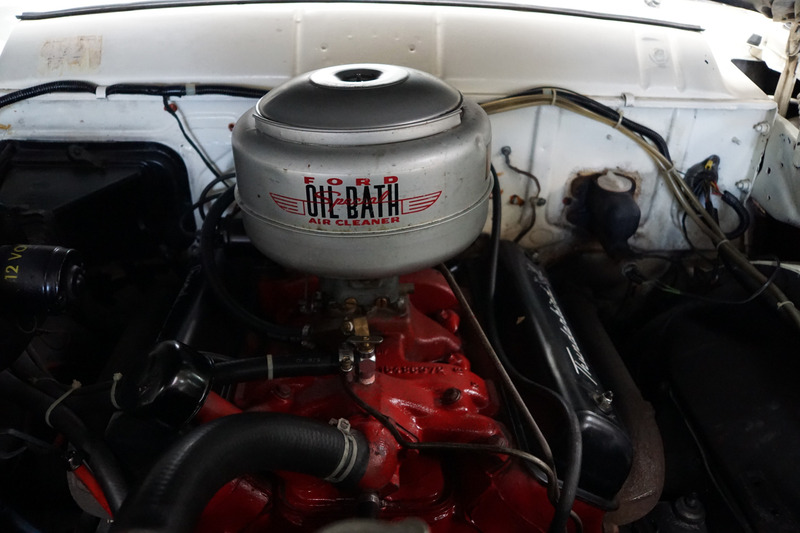 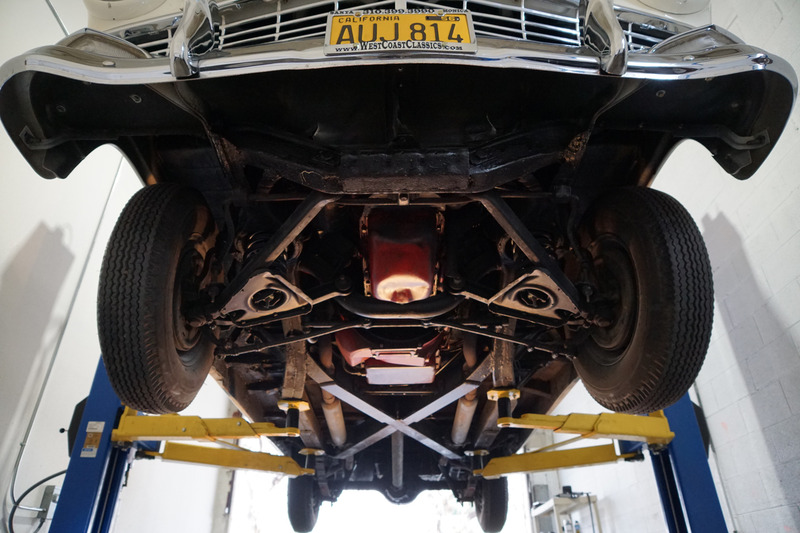 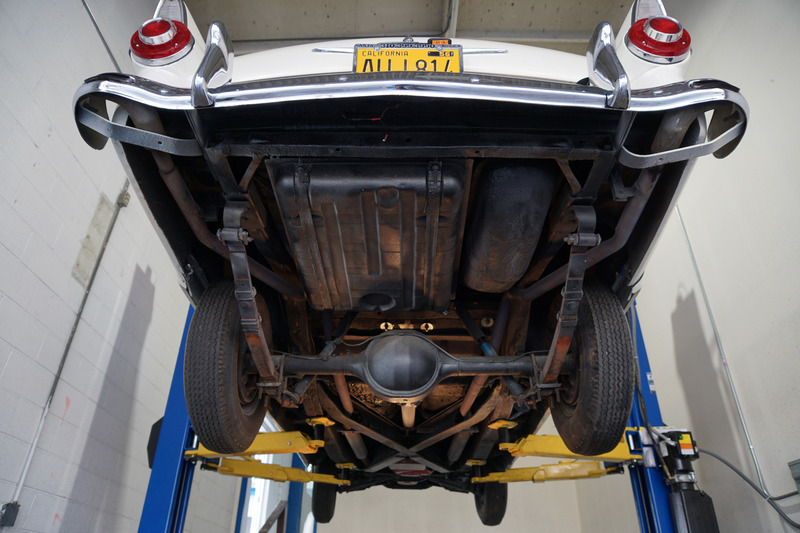 The floor boards, trunk and all the typical rust-prone areas are solid and the car has no signs of any accidents - obviously an always garaged and cherished car since new. 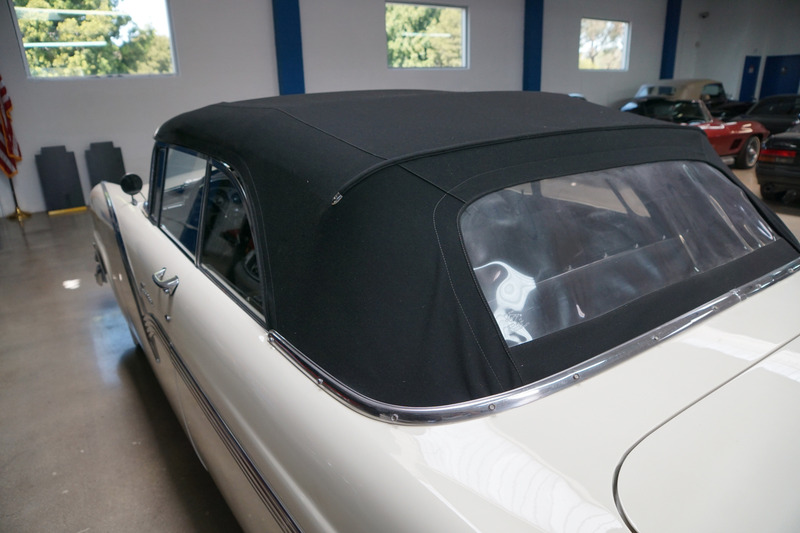 The car has a beautiful and new 'Black' power soft top and a matching tonneau boot cover! The Ford Fairlane was an automobile model that was sold between 1955 and 1970 by Ford in North America. 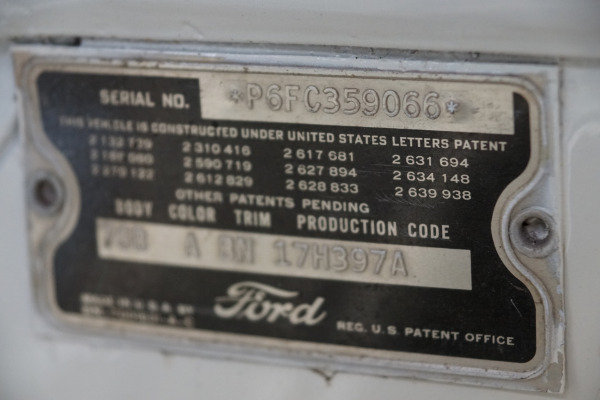 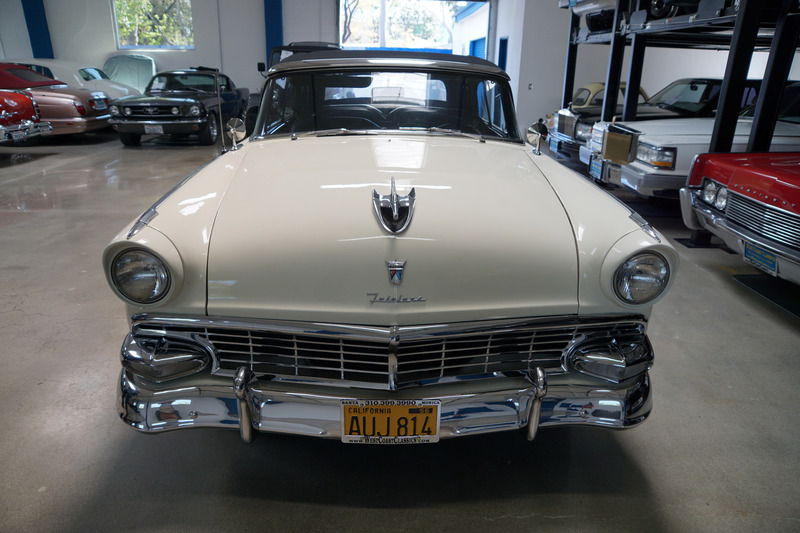 The name was derived from Henry Ford's estate, 'Fair Lane', near Dearborn, Michigan and over time the name referred to a number of different cars in different classes; the Fairlane was initially a full-sized car, but became a mid-sized car from the 1962 model year. 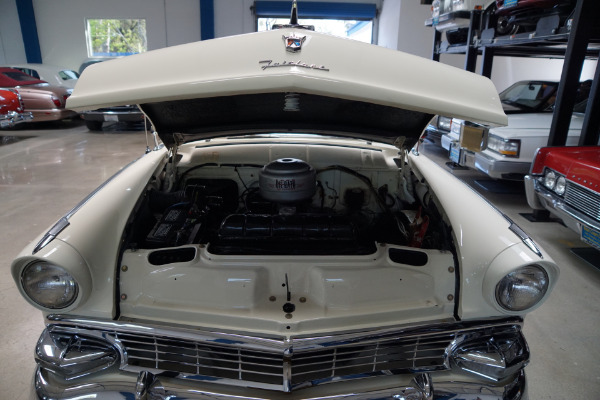 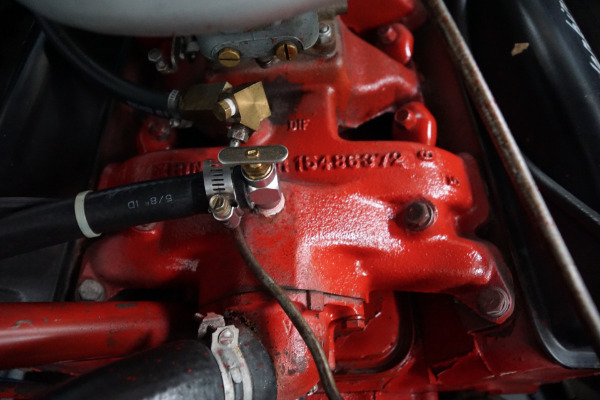 The 292 V8 engine is extremely strong and powerful and sounds absolutely magnificent and the automatic transmission shifts smoothly through the gears. 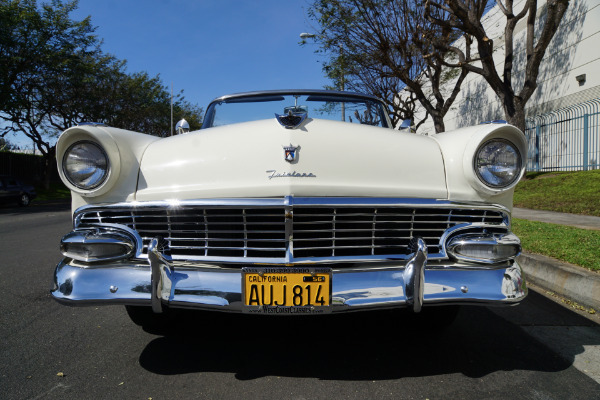 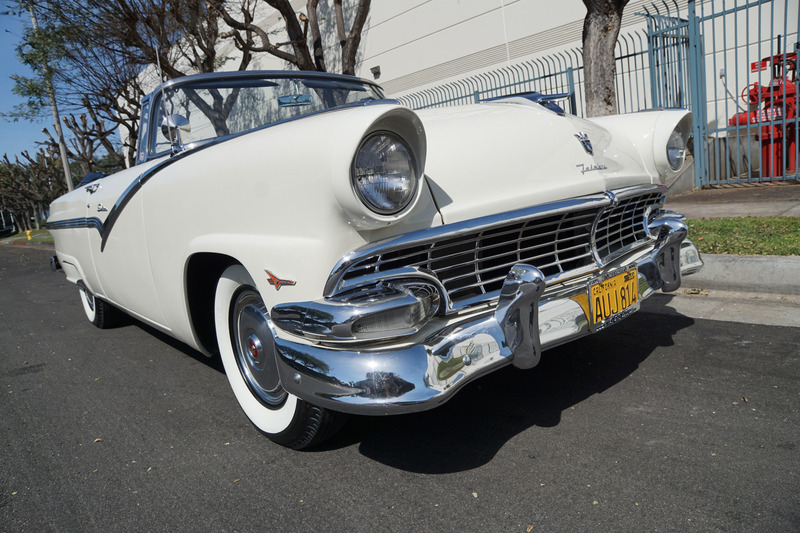 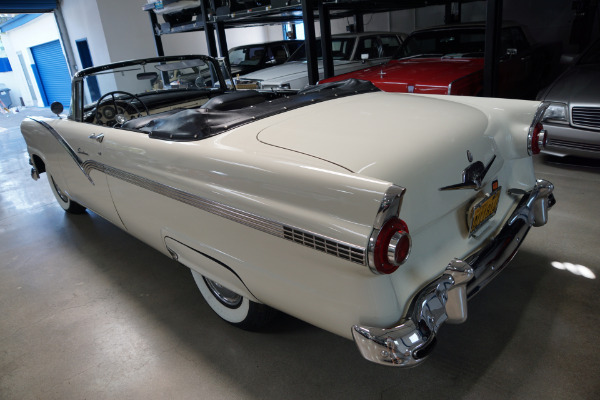 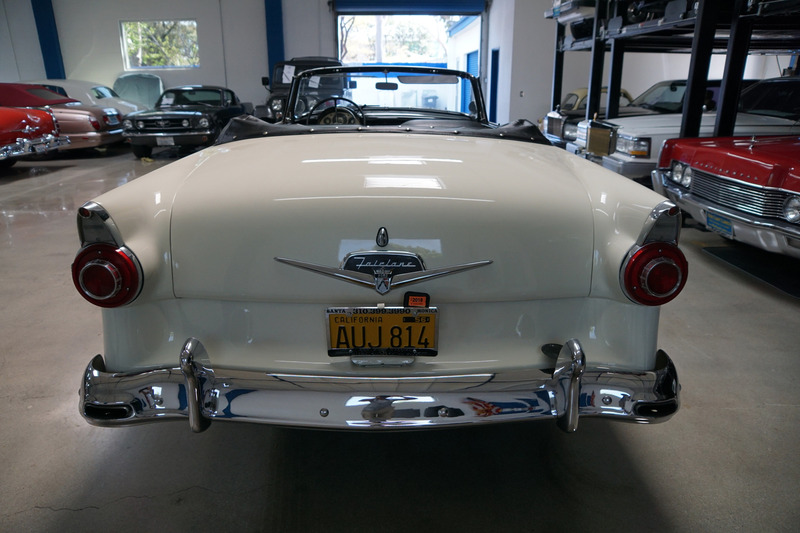 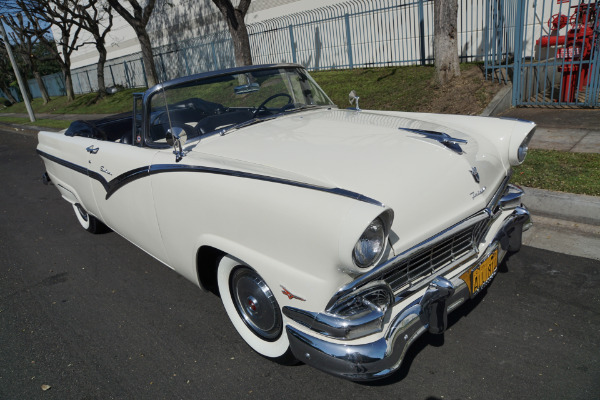 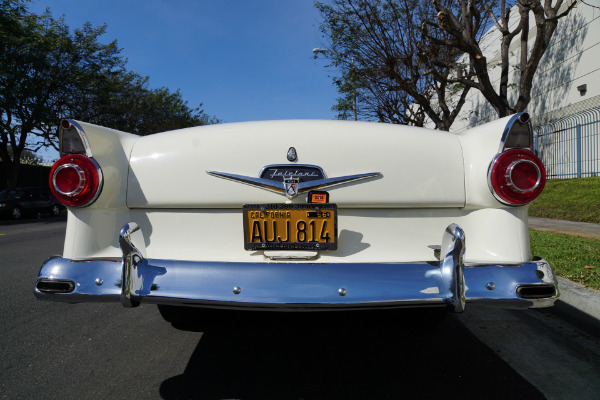 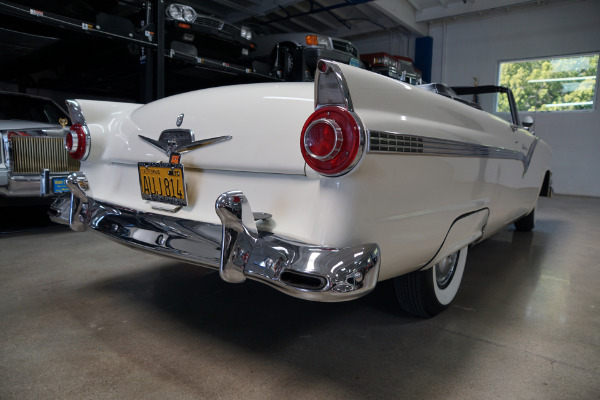 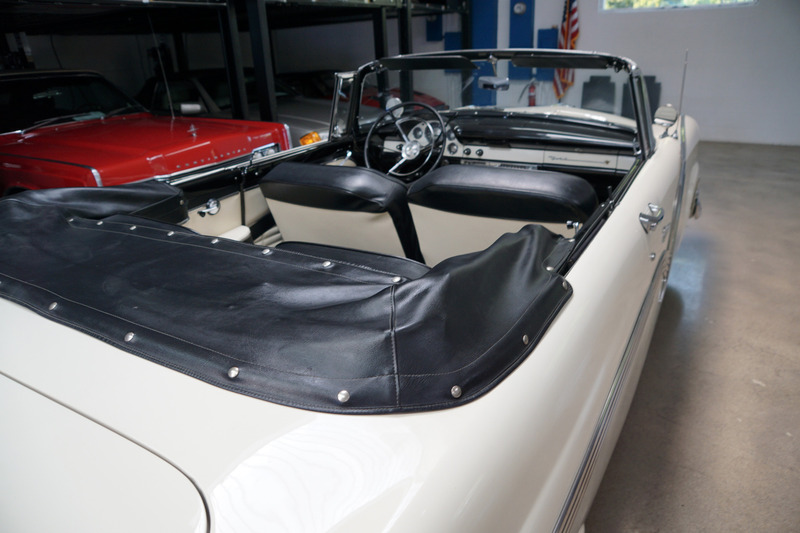 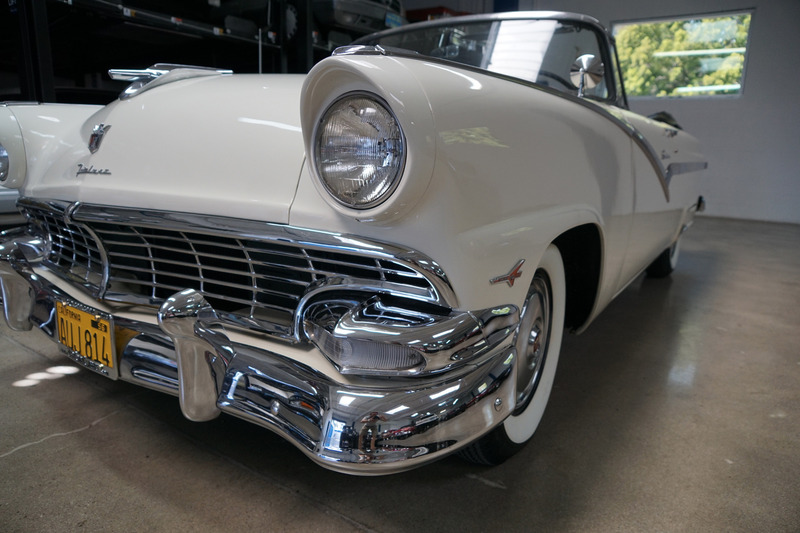 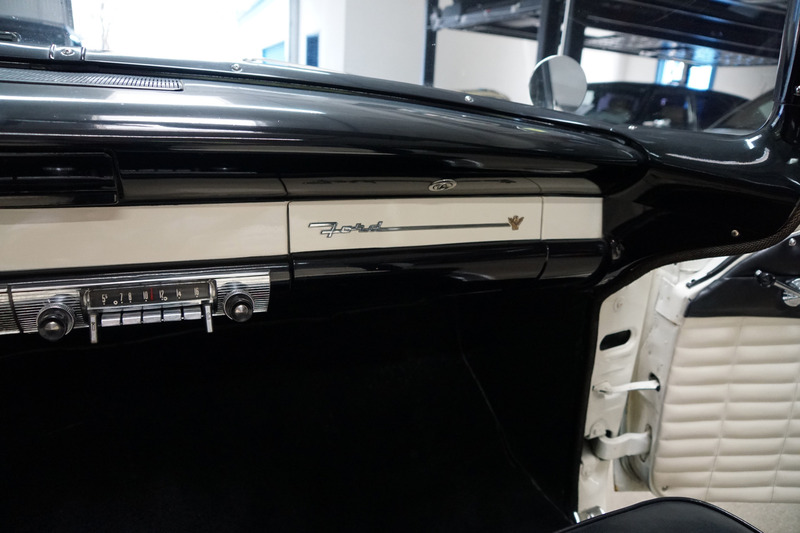 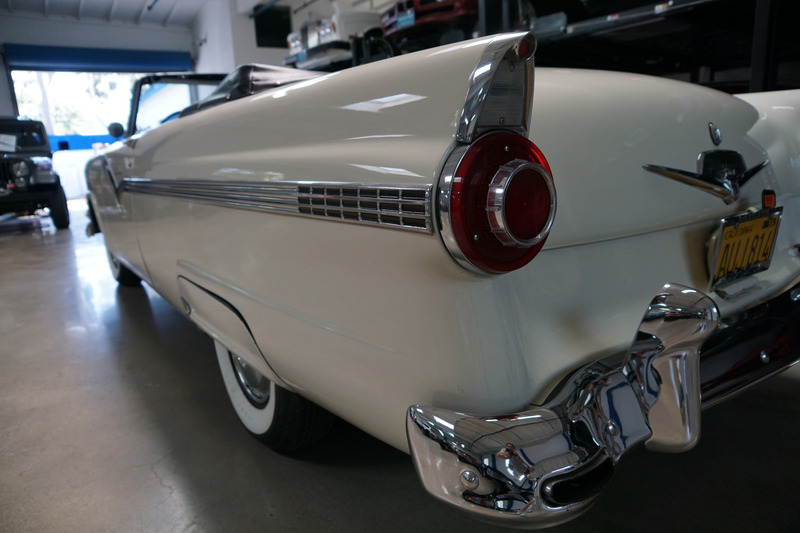 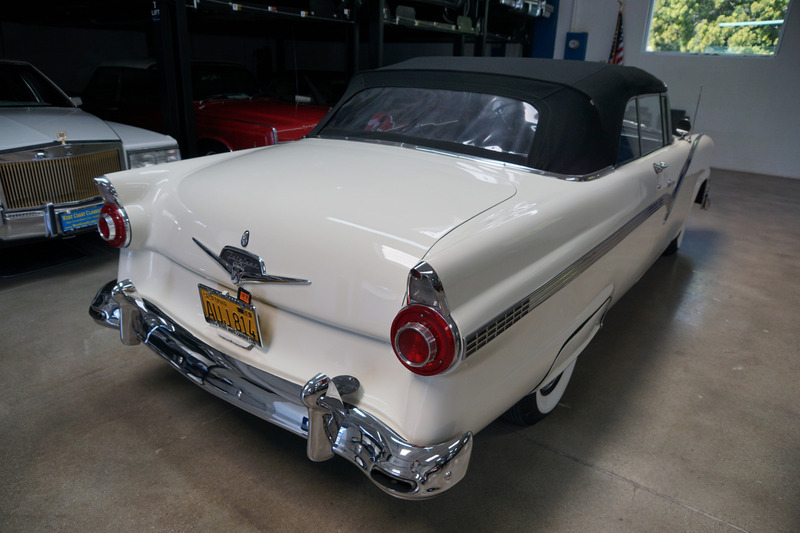 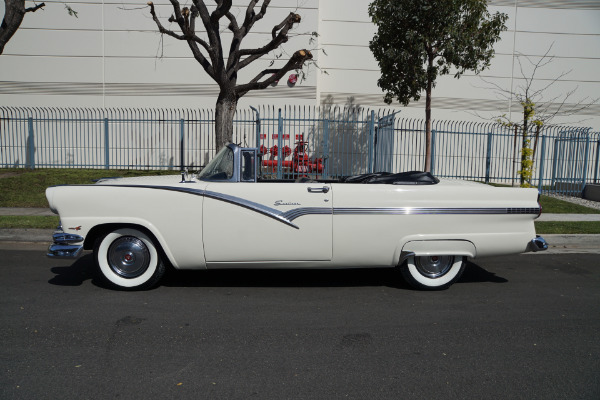 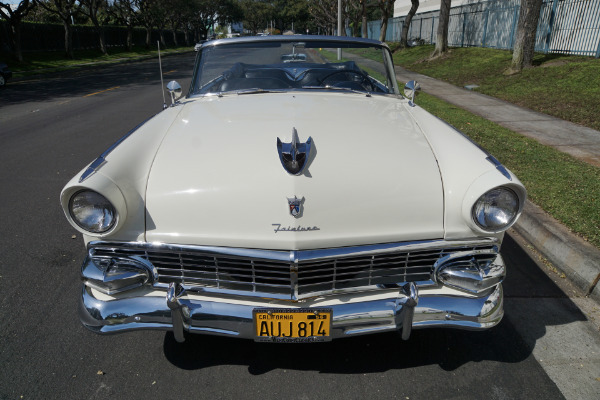 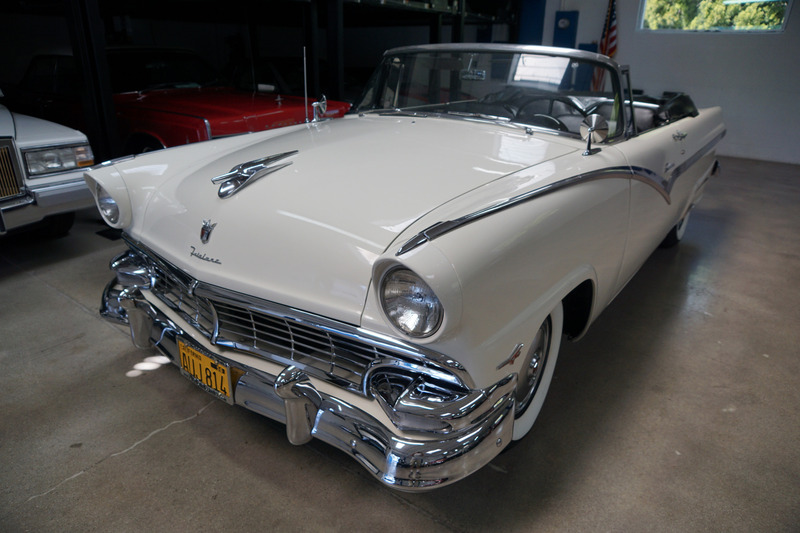 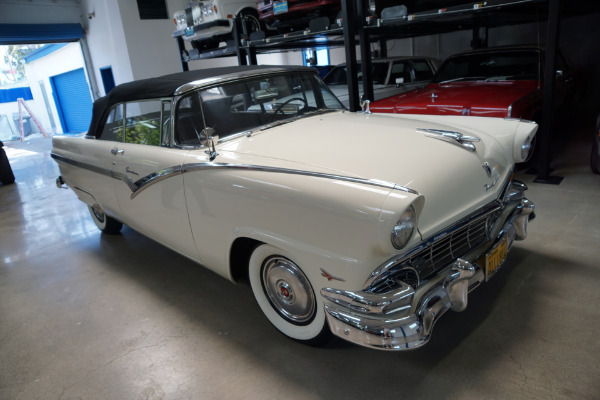 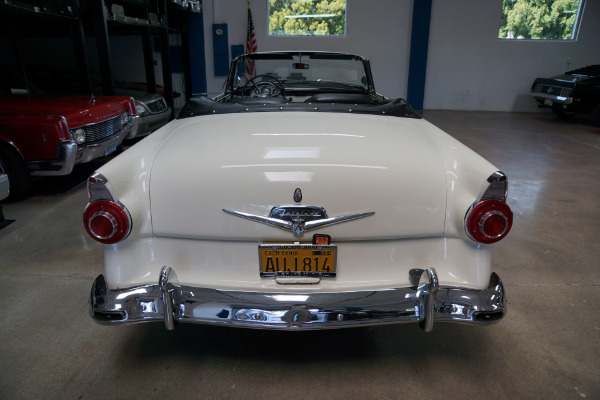 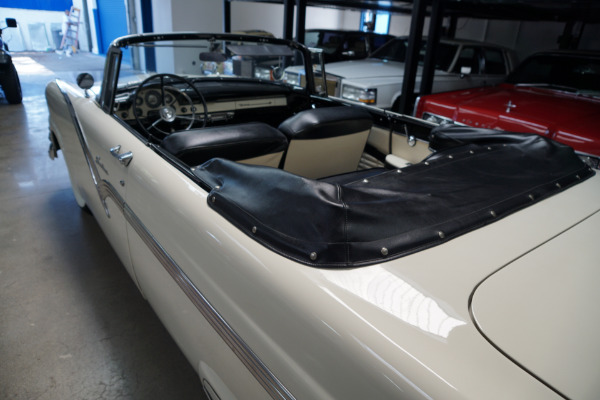 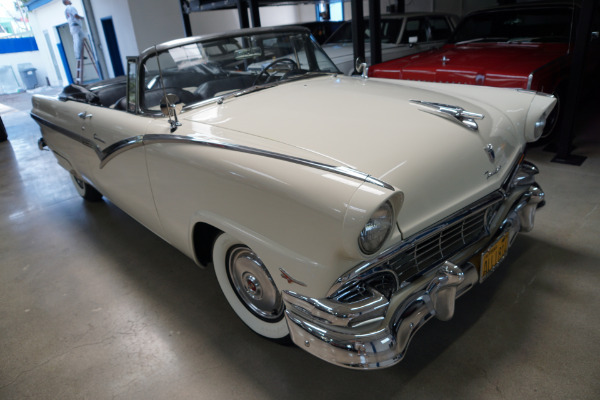 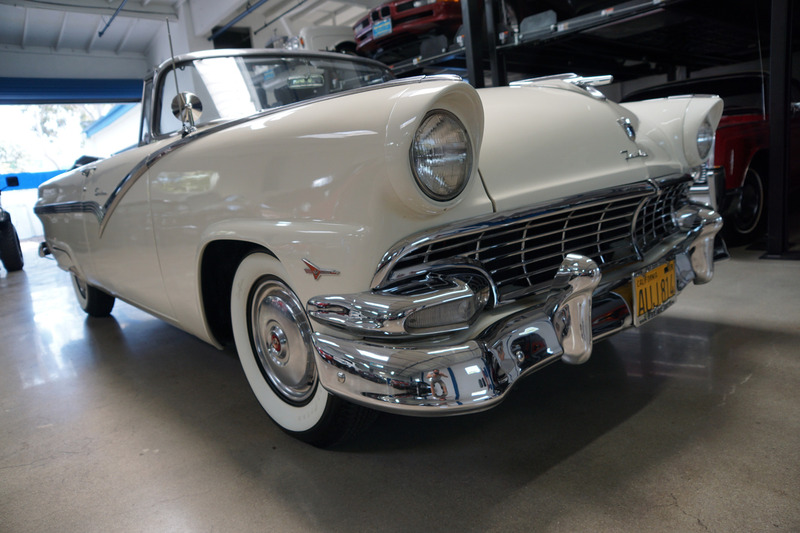 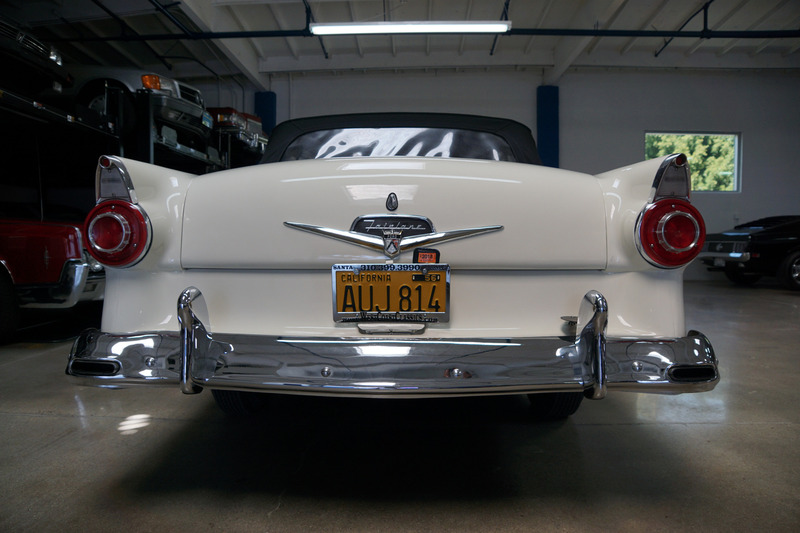 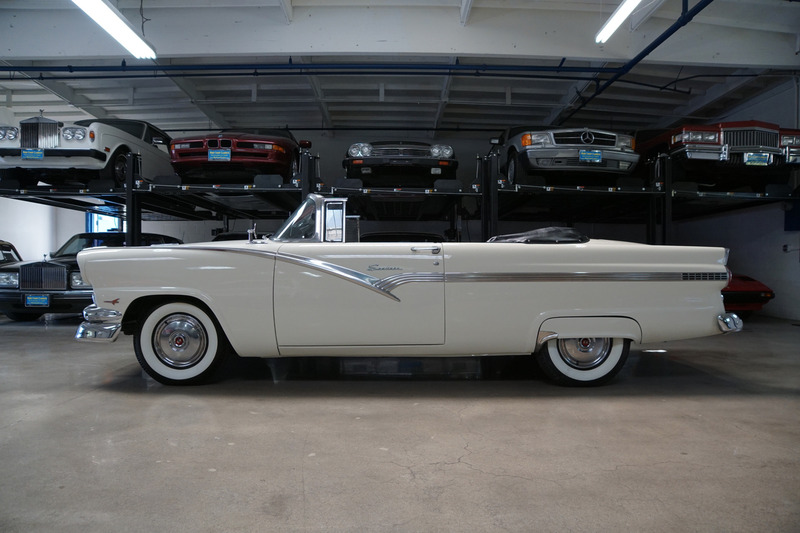 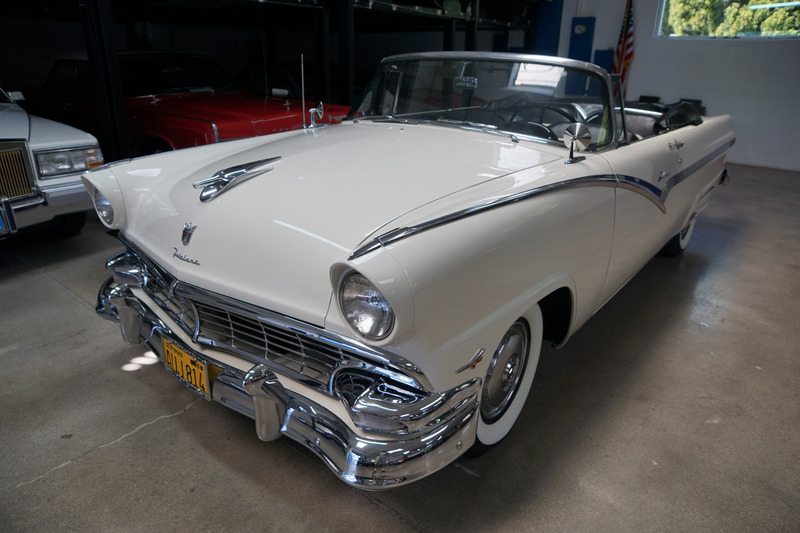 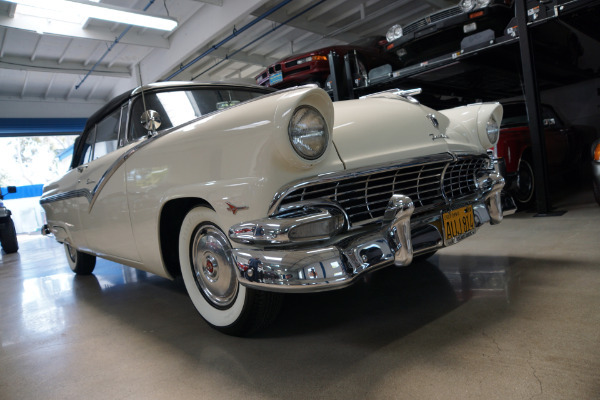 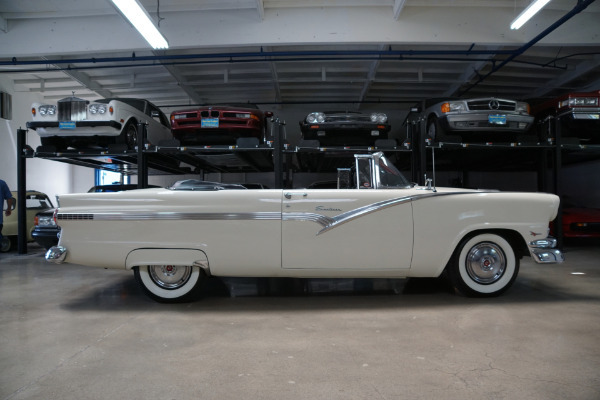 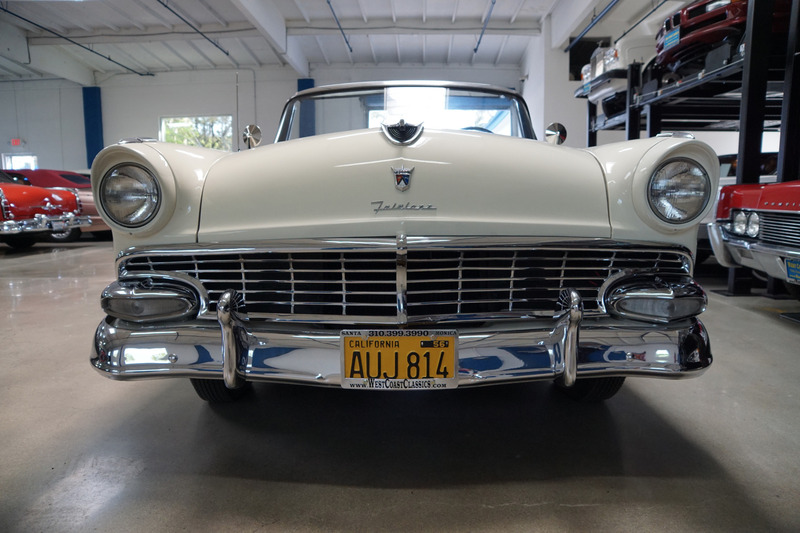 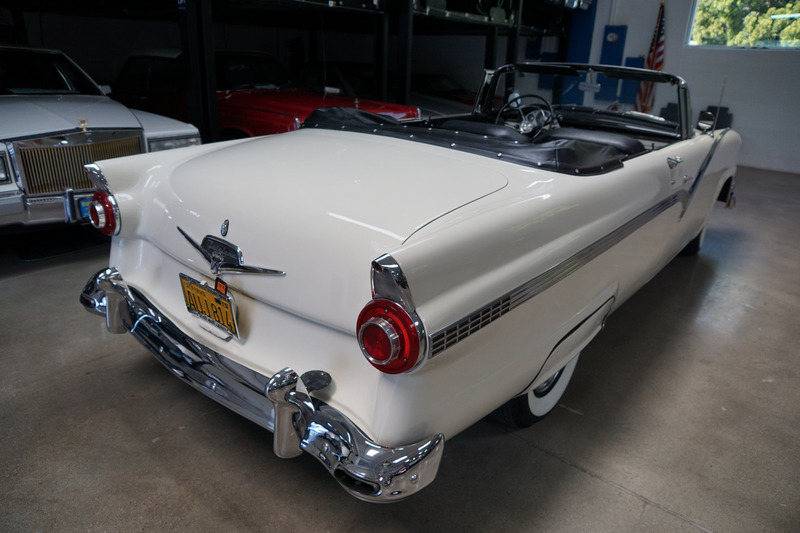 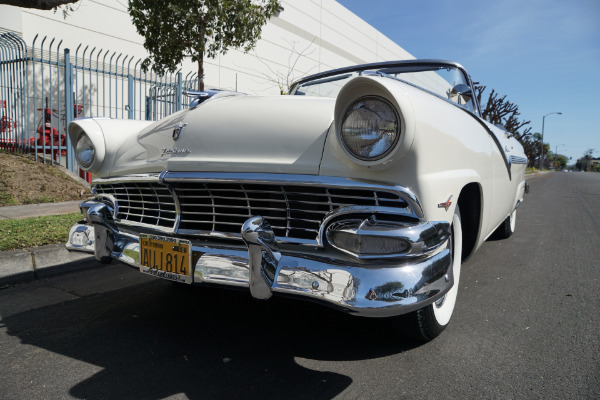 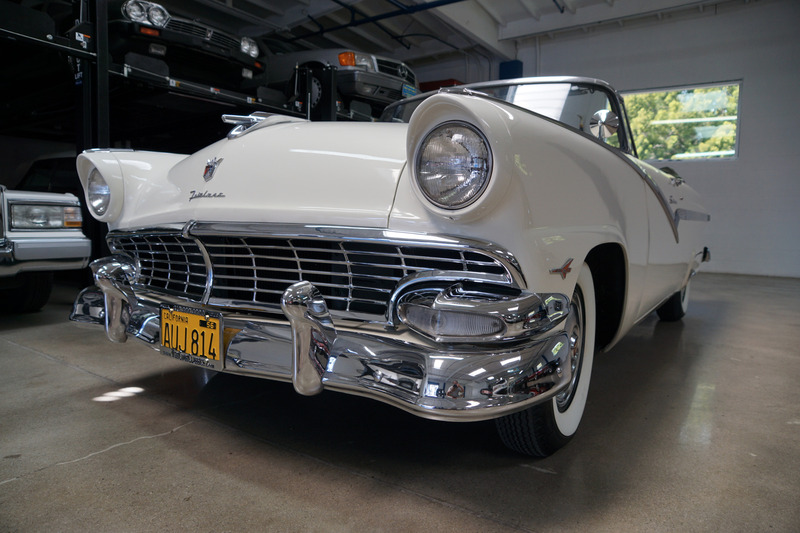 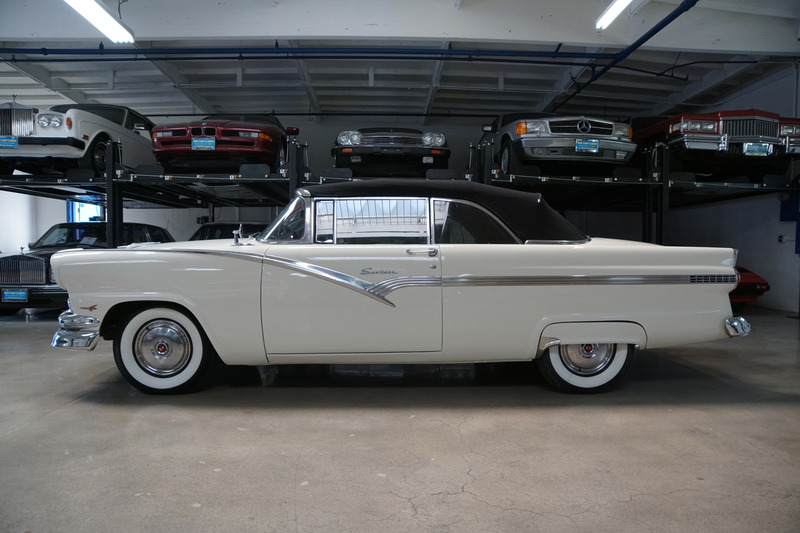 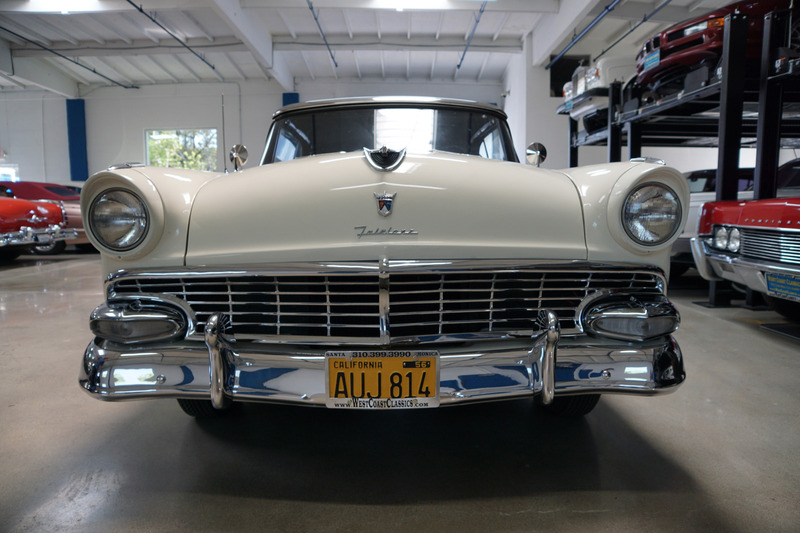 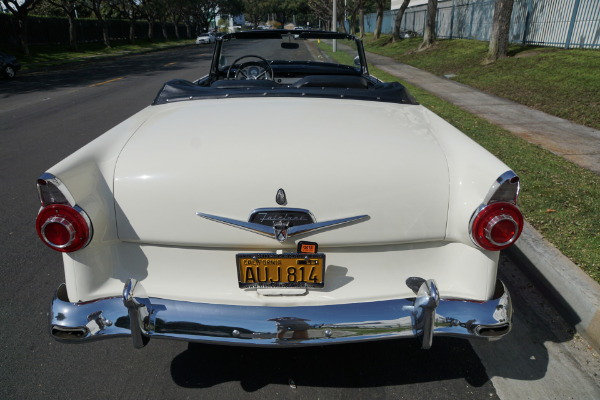 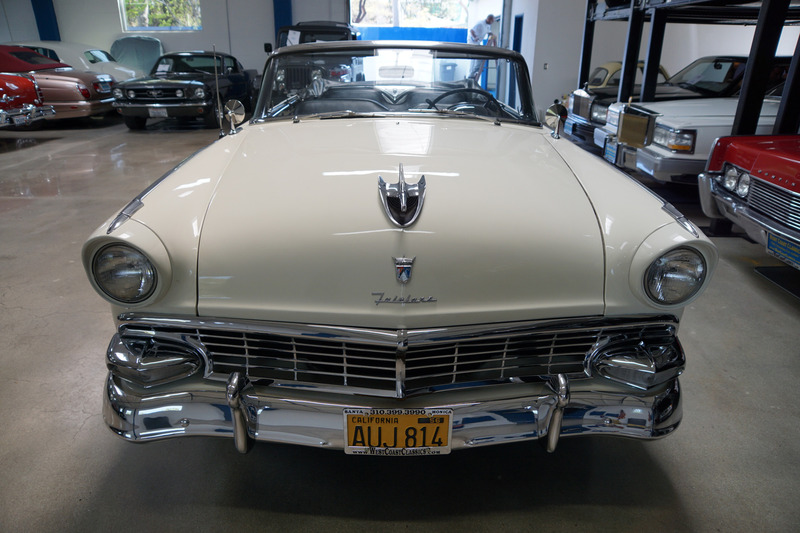 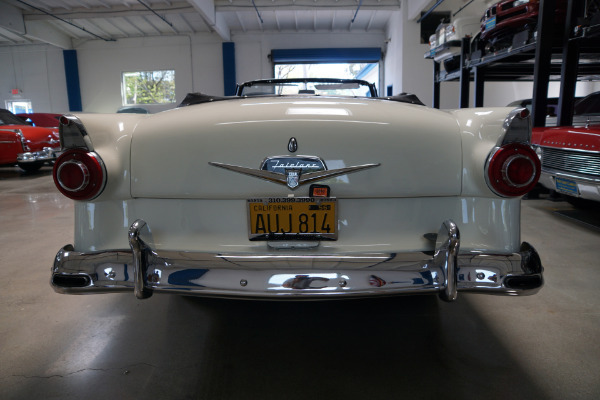 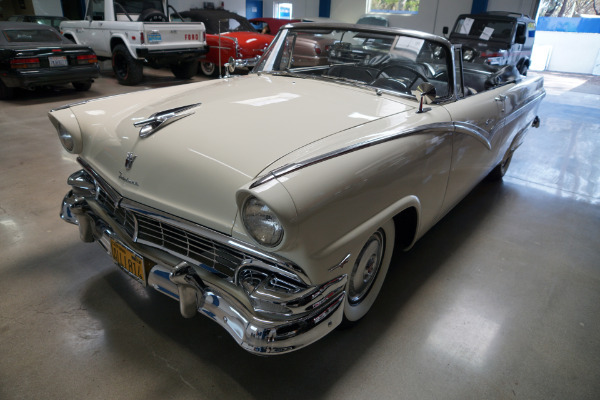 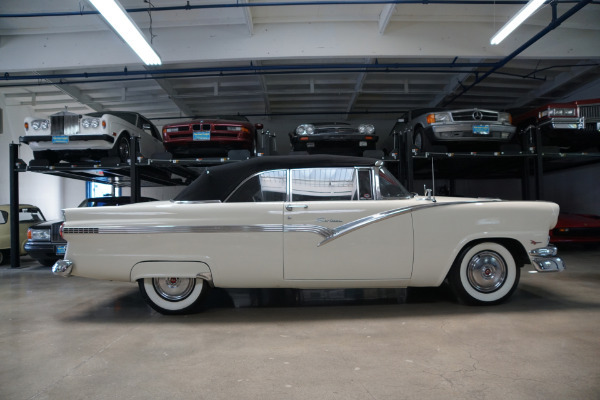 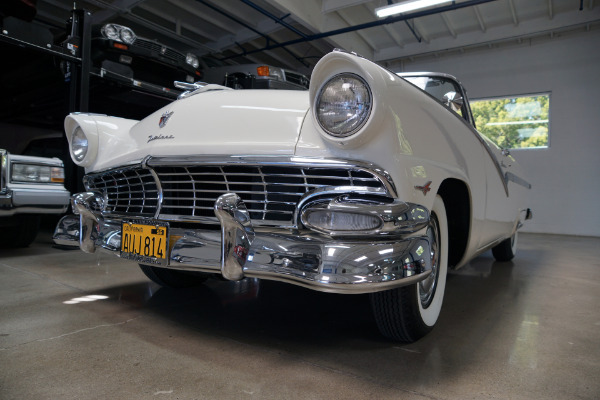 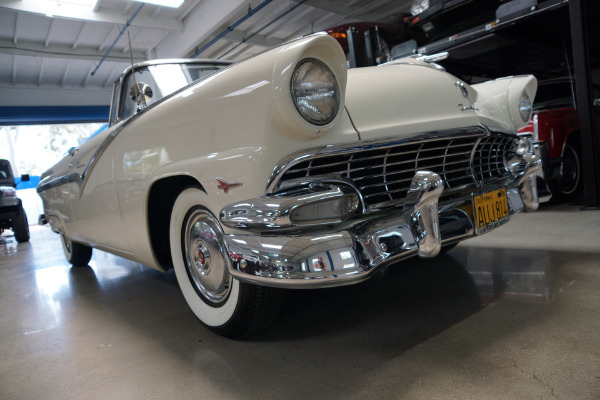 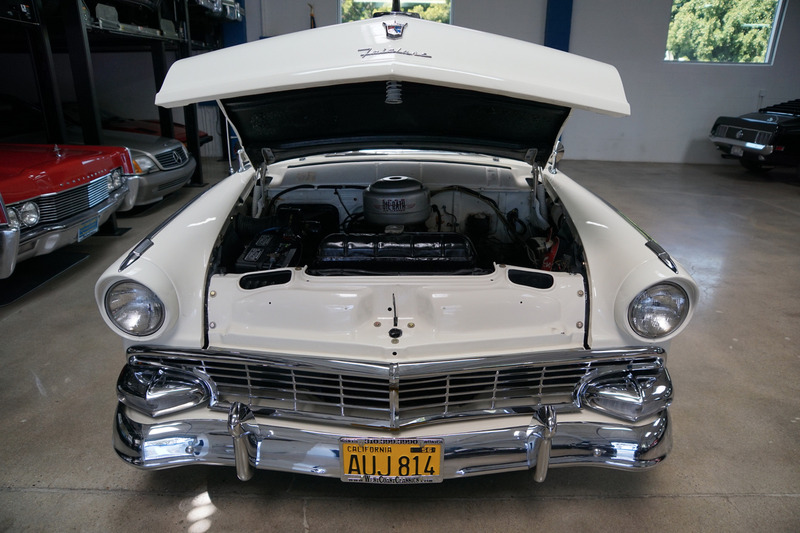 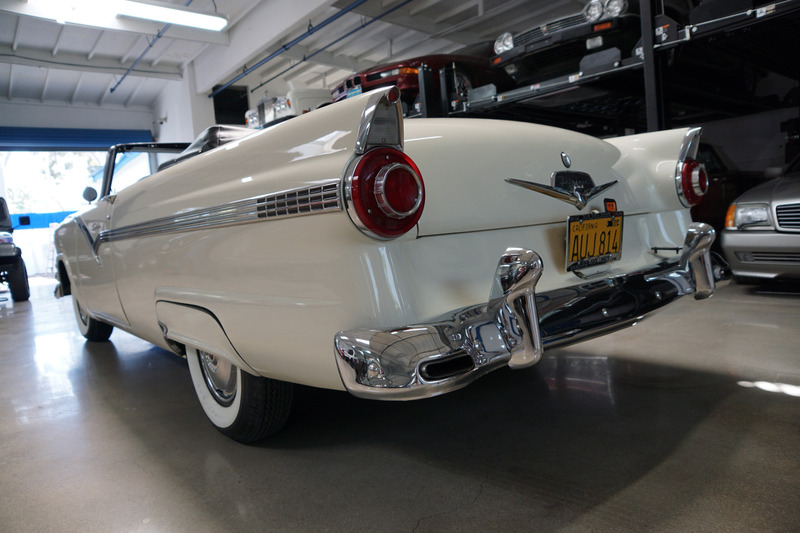 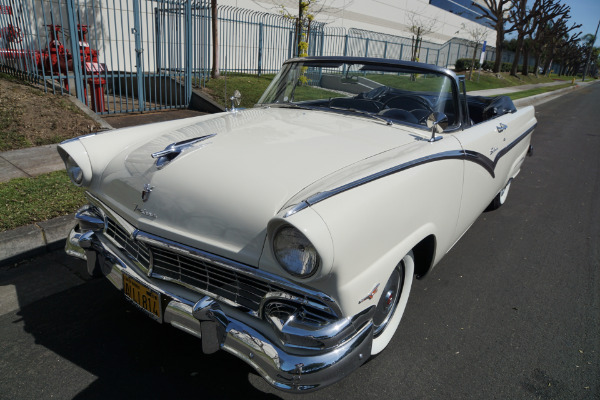 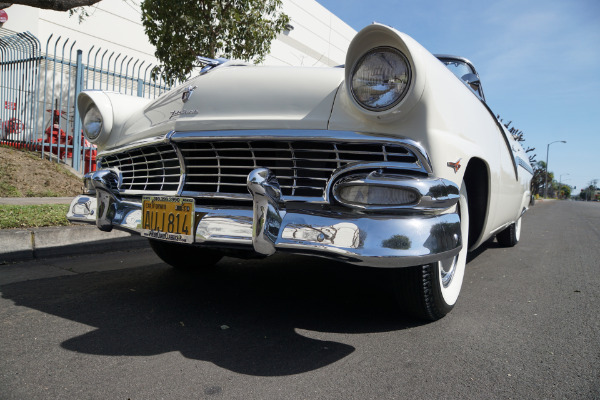 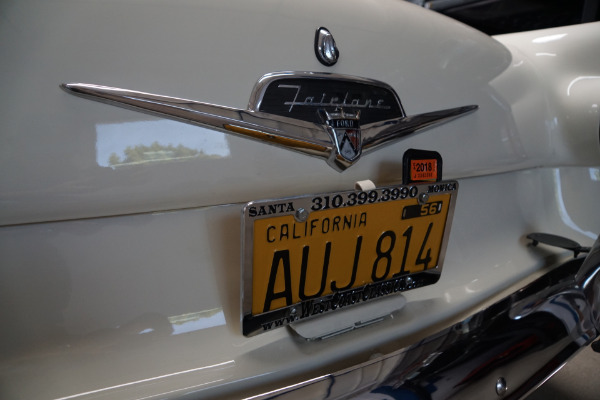 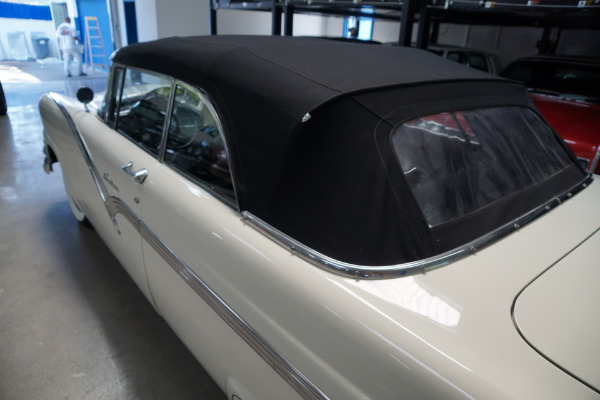 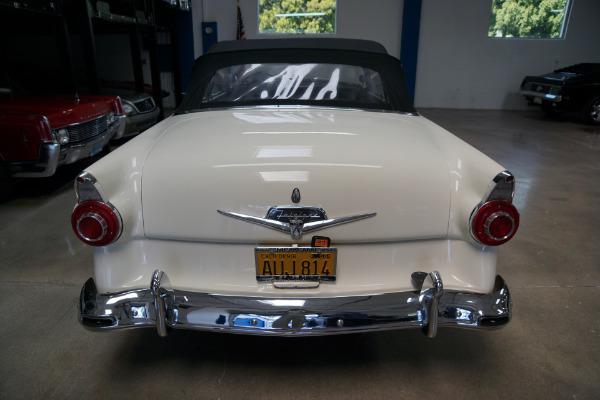 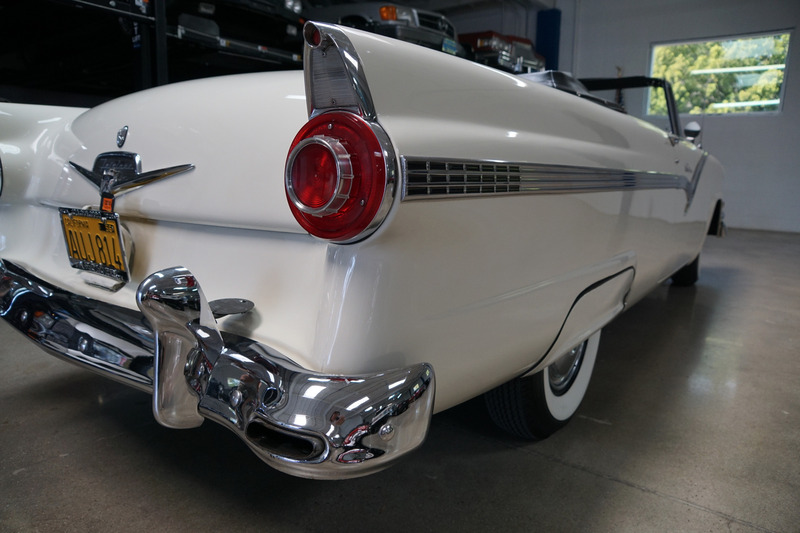 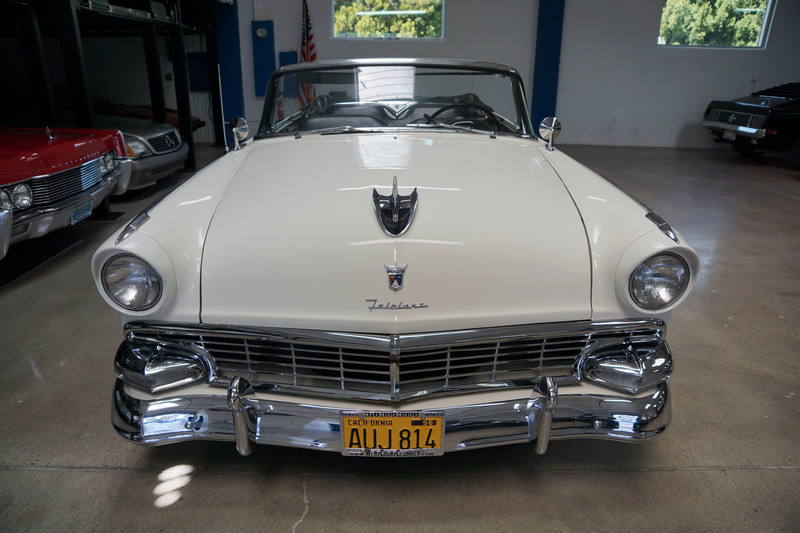 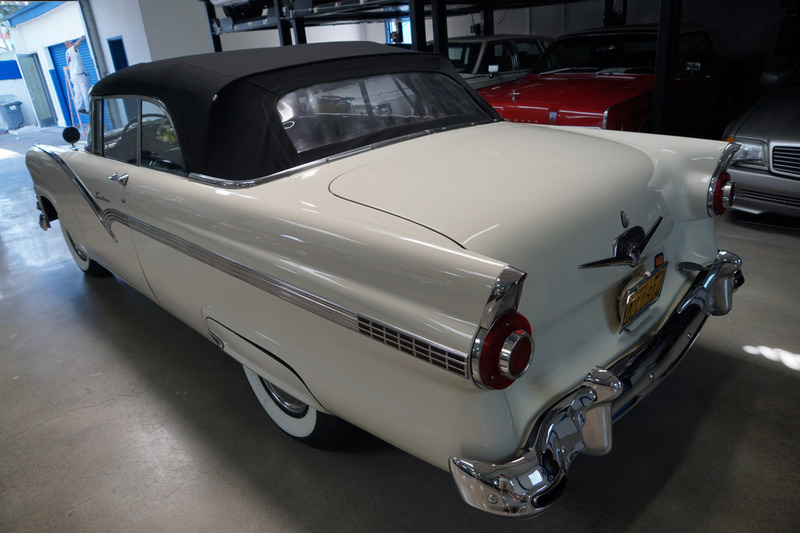 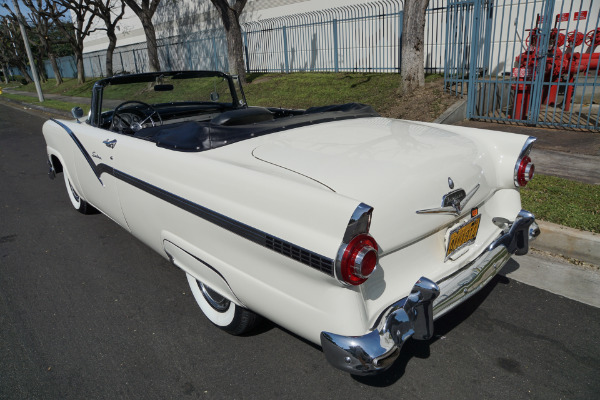 This is a rare opportunity to own a beautifully restored as necessary over the years of an otherwise very stock and original California owned since new 1956 Ford Fairlane Sunliner Convertible. 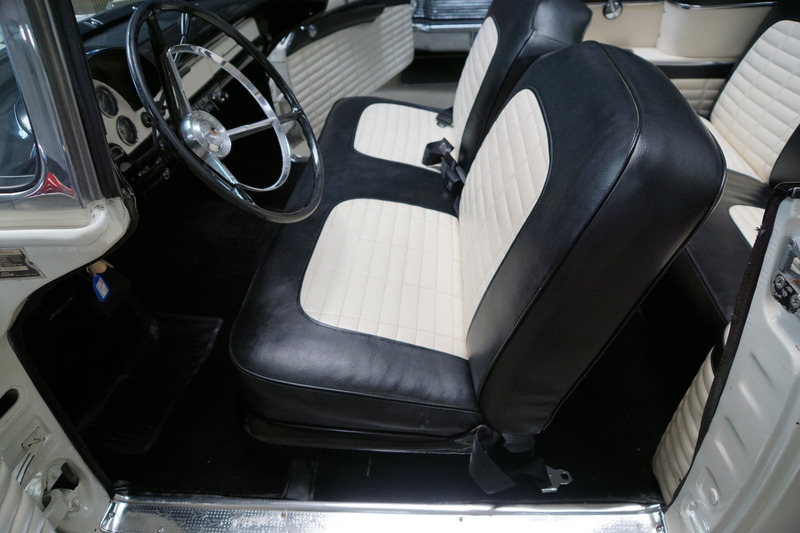 It is a great daily driving example in very fine original condition throughout!